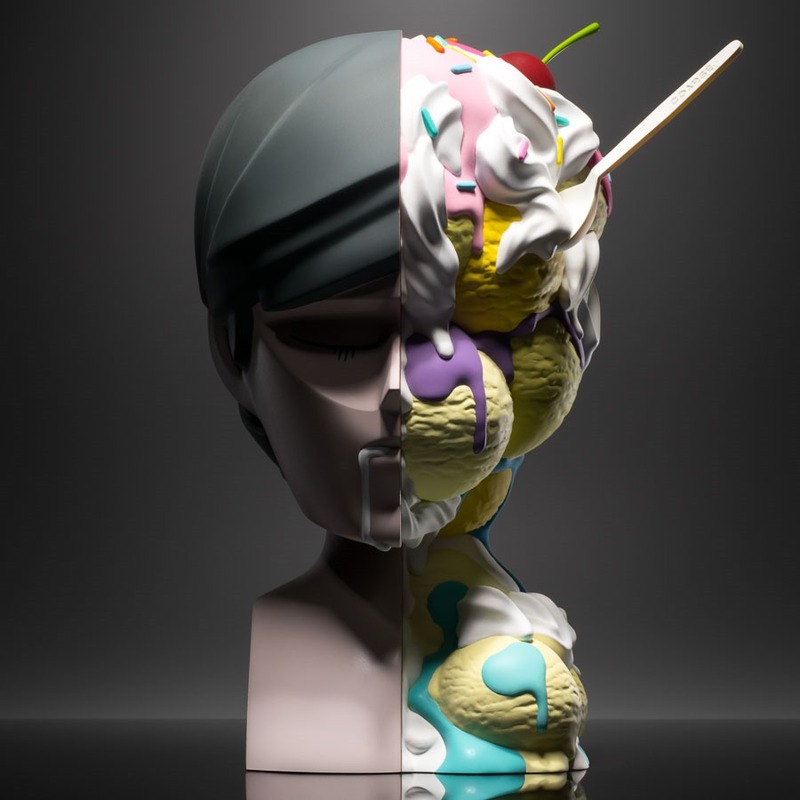 Meltdown—a 16” ice cream infused vinyl bust—from Coarse serves up more than its crave-worthy frozen treat side lets on. 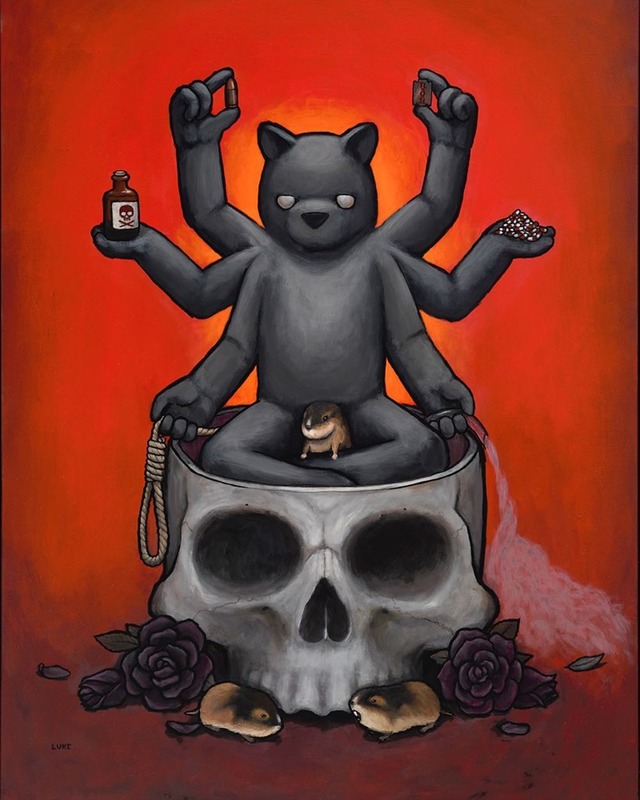 It is, as is much powerful art, more than its surface. 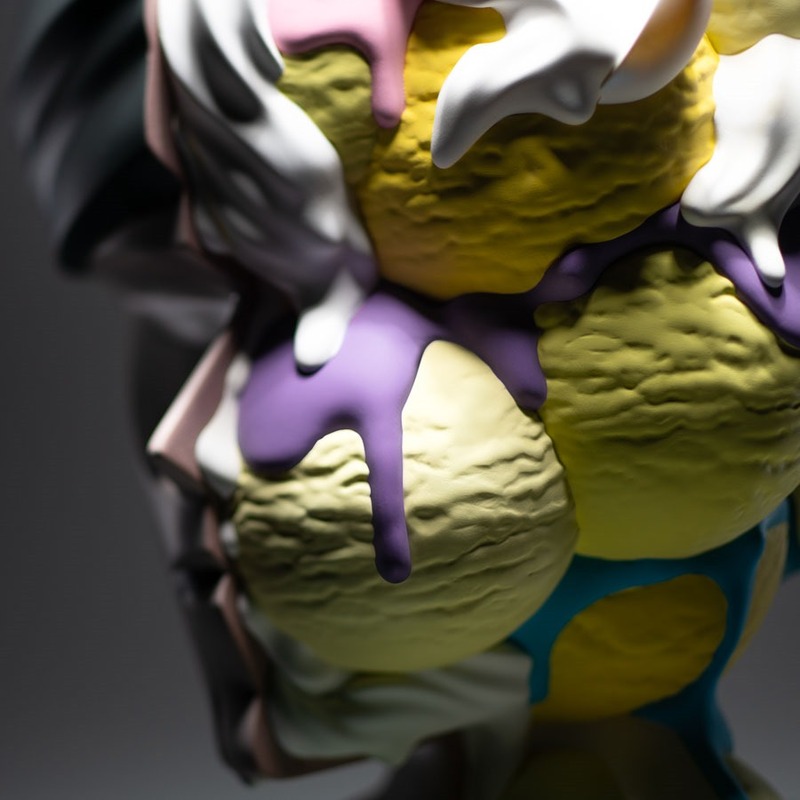 Beyond the playful ode to the sweet, cold stuff that soothes our disappointments and amplifies our triumphs, Meltdown is, as the name suggests, a witness to an unmistakable reckoning, as everything and everywhere inches ever warmer. Available in both the colorful Alter Ego (299 pcs, $360) as well as the more subdued The Long Goodbye (199 pcs, $360) editions, Meltdown includes a clever, but essential detail – a COARSE-inscribed spoon permanently dug into the overflowing ice cream layers. 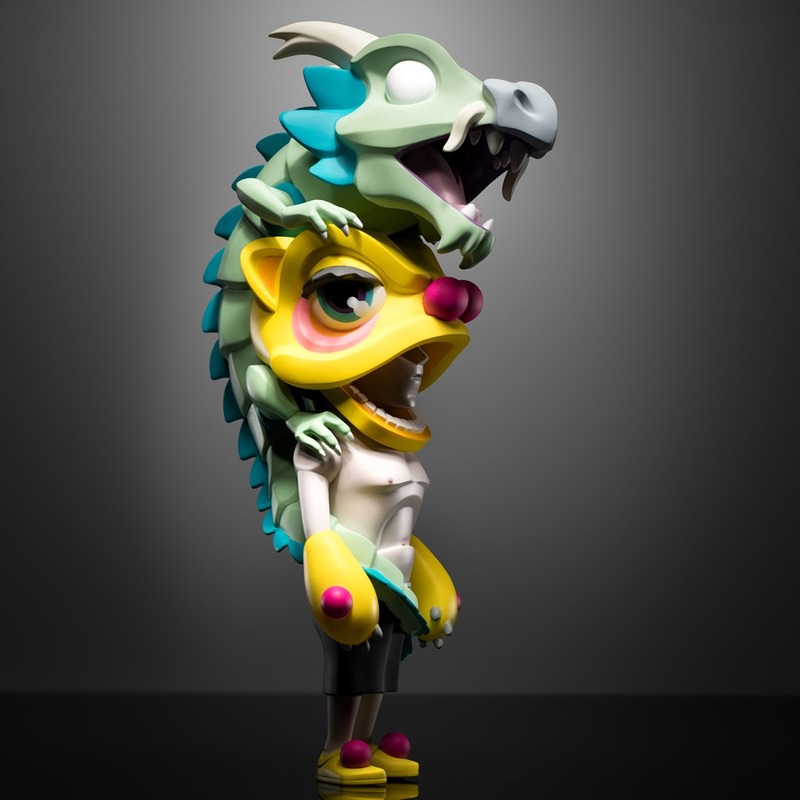 Both flavors of sobering sweetness drop on Saturday (9.1) at 8:59 AM PDT from the Coarse Shop. 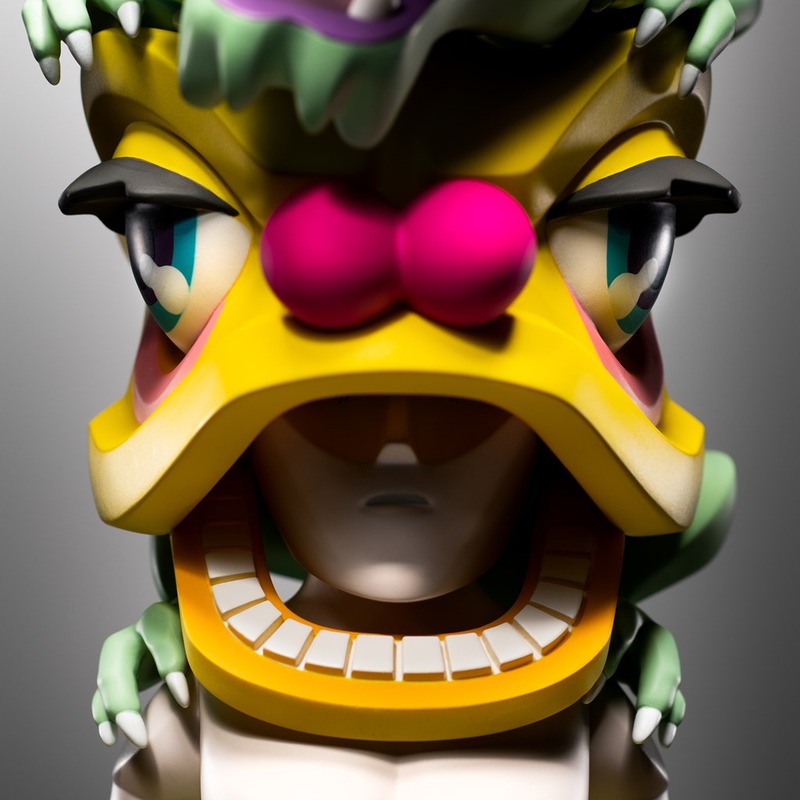 In conjunction with Pop Mart, Coarse will release two new figures at next week’s Beijing Toy Show (9.7 – 9.9) – a new version of an old friend and a brand-new, stunning Asian-inspired showcase piece. 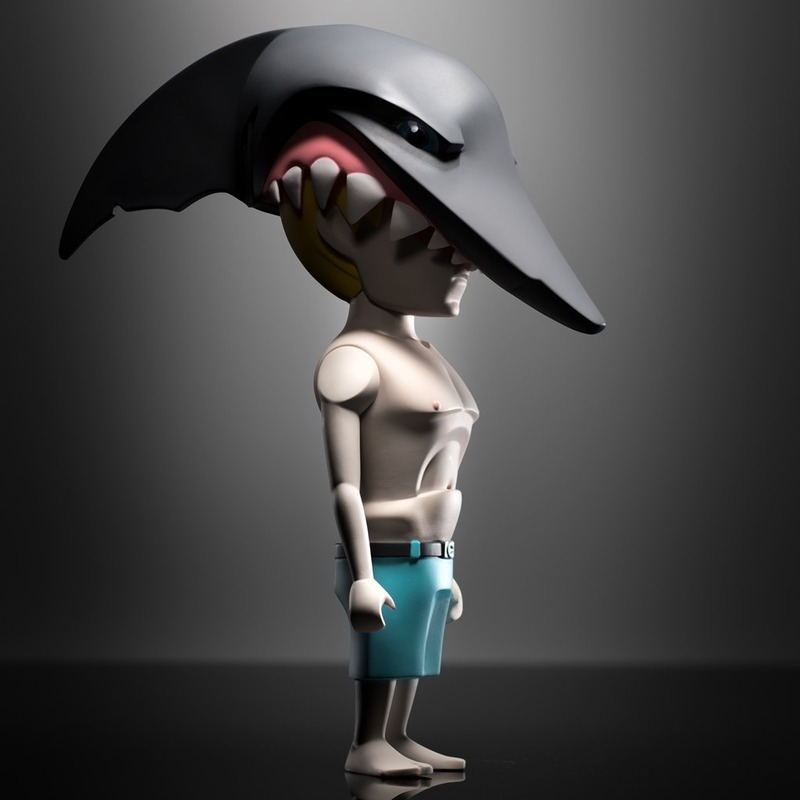 The new Jaws Half Moon (10.5”) marks a return for one of Coarse’s signature at a smaller size, pairing Noop with his cunning shark gear. 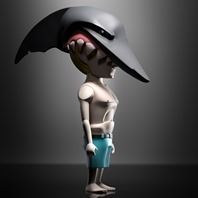 If you don’t have a Jaws in your collection, this is an unexpected new opportunity – not to be missed. 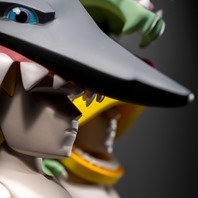 As excited as we are for a new Jaws, Aura is plain nuts. 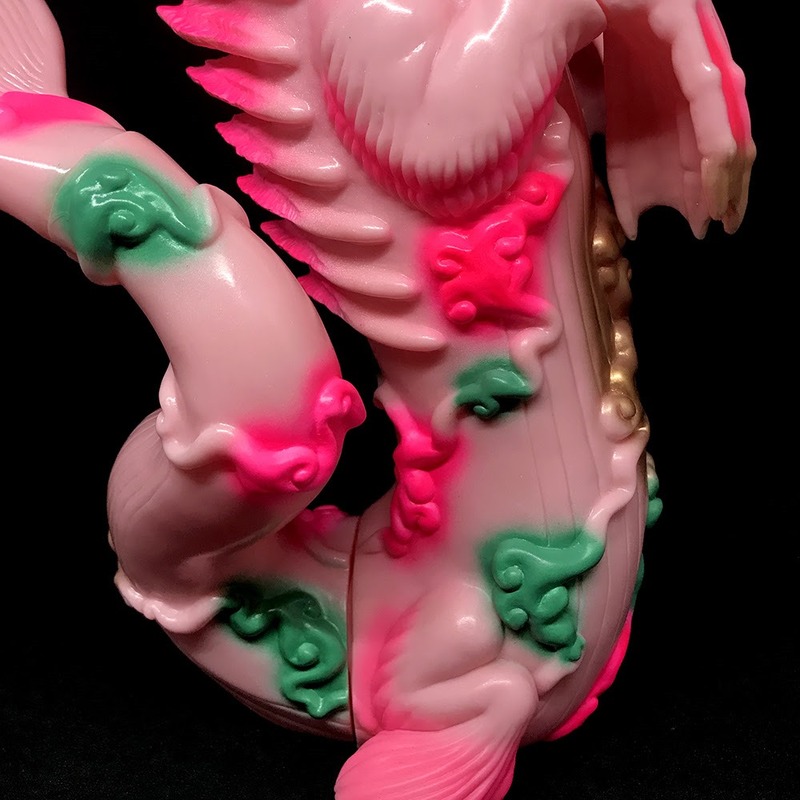 This one features a Lion Dance-inspired Noop with a dragon riding piggyback! 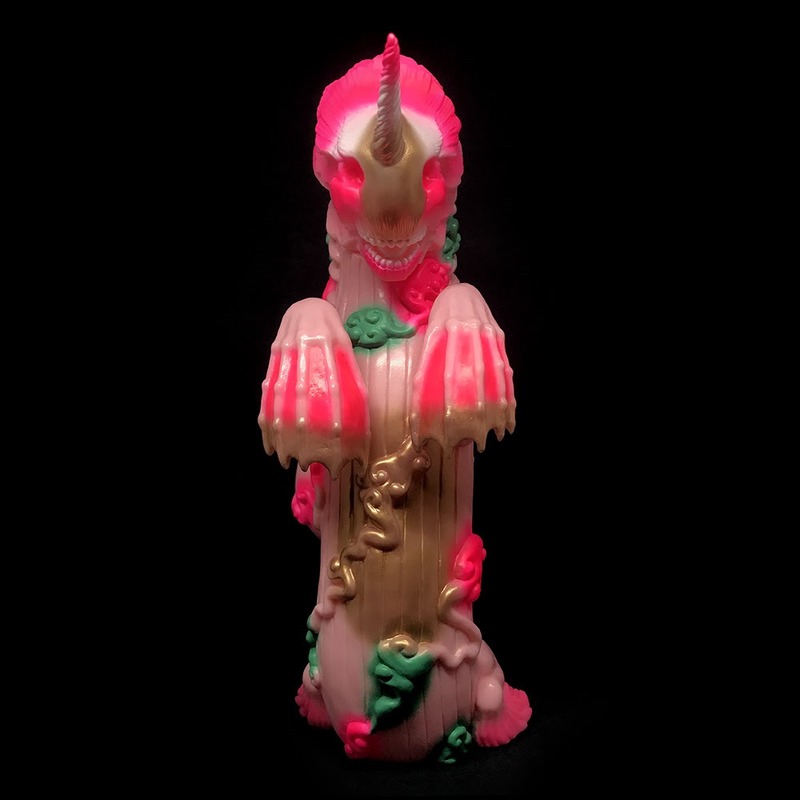 Nearly two figures in one, Aura Half Moon promises plenty of head turning moments. 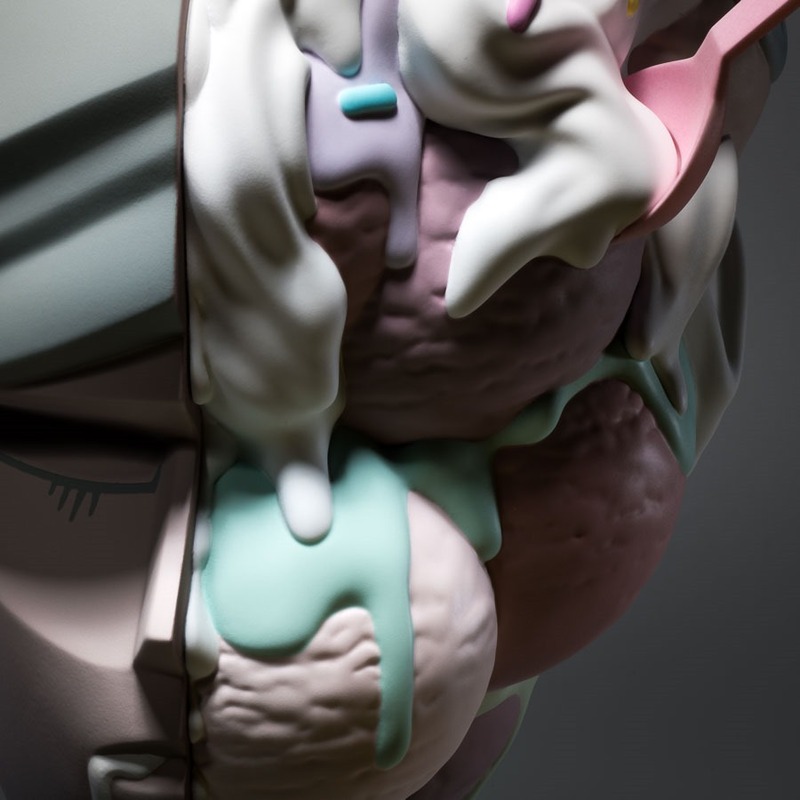 In fact I’ve caught myself staring at its crazy profile several times, mid-sentence, the experience overwhelming the yet-to-come words. 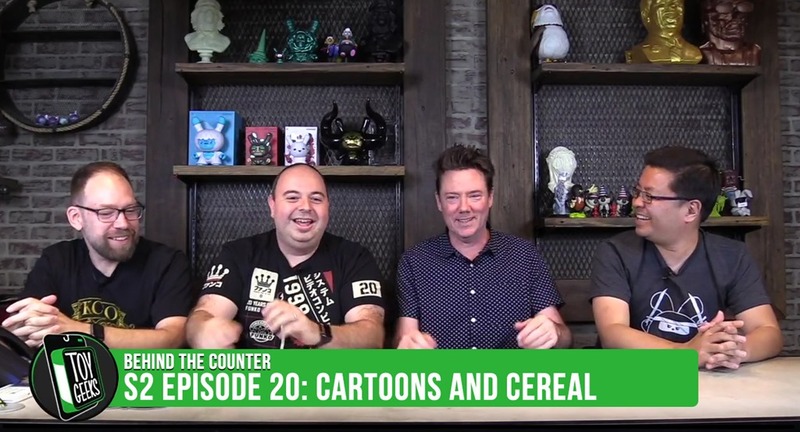 It might sound trite to say that Coarse has outdone themselves but it’s true. 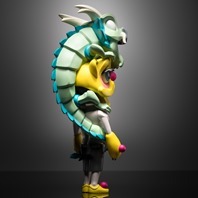 Aura eclipses their East Meets West Noop figure from about 2008 with that dragon. 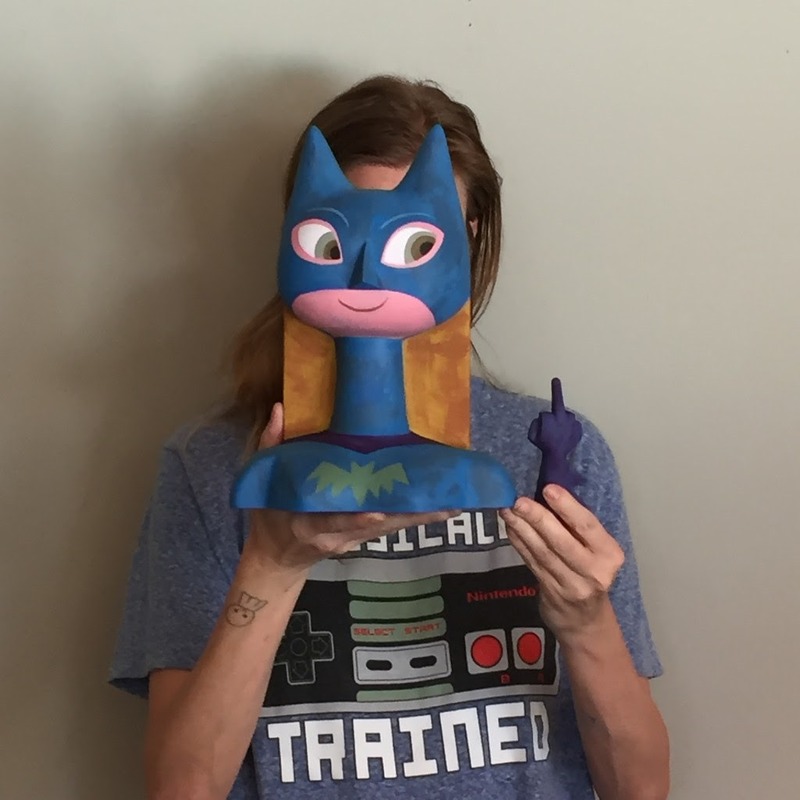 The sculpt and the pose are spot on. 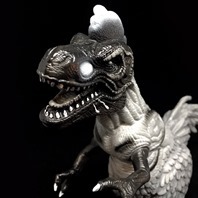 One to remember for next Spring’s Toy of the Year discussion. 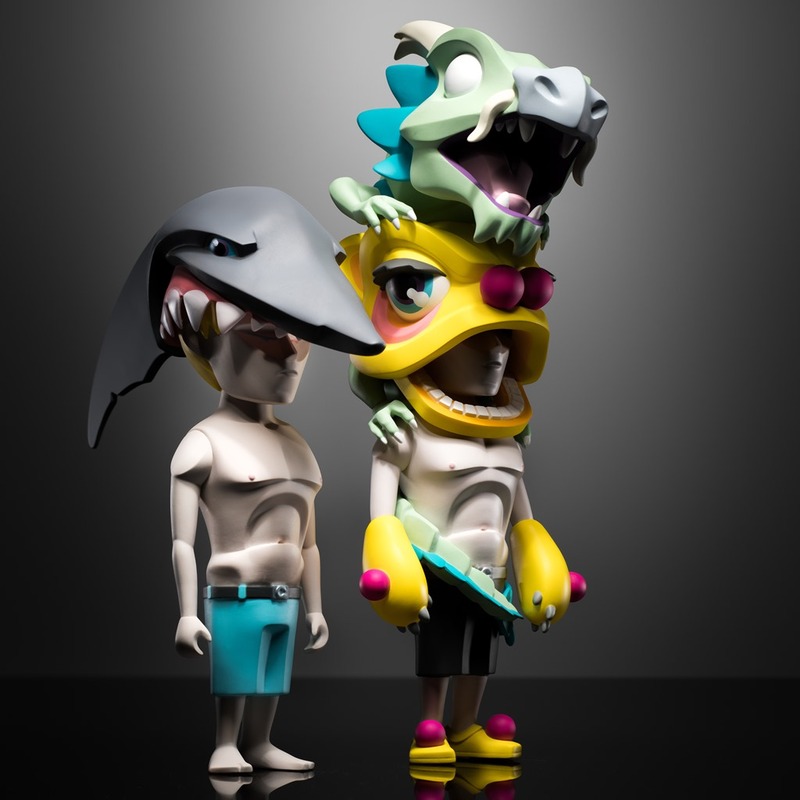 Jaws Half Moon (899 RMB /~$131) and Aura Half Moon (1399 RMB / ~$205) will be available starting on Friday (9.7) at Coarse’s BTS booth [#B12]. So far Great Twins has showed glimpses of a few of its initial toy lines including the Singapore-inspired Merlion platform toys and the 1:12 Real Action Figures. Now, the new brand is ready to introduce a full range of upcoming toys and debut releases to collectors at the Beijing Toy Show (9.7 – 9.9) in booth A35. 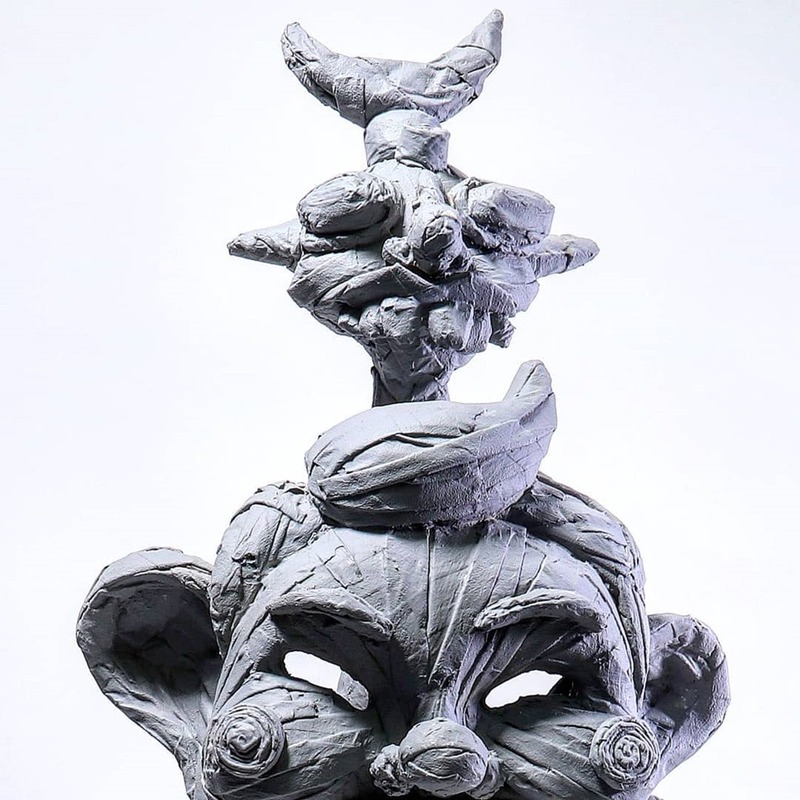 Great Twins will release several BTS Exclusives including four new Scary Girl soft vinyl figures in special from Nathan Jurevicius, the brand-new 3” Madcap soft vinyl figures from Paul Leung as well as several exclusive Merlion figures in both the 2” and 8” sizes. Nathan Jurevicius, Paul Leung, and Ultraman will also be signing at the booth. 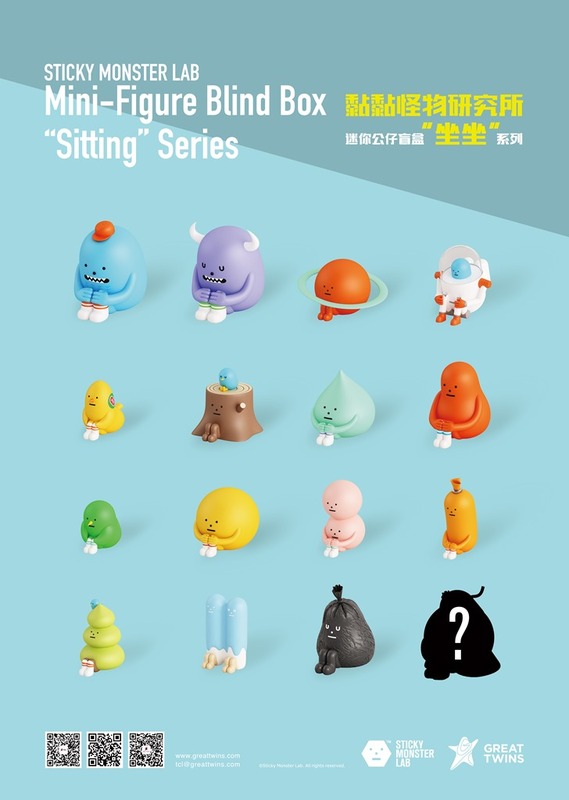 They will also be taking pre-orders for several figures including standard editions of the Scary Girl figures, the first Merlion 2” blindboxed series, and not one, but two mini series—Sitting and Running—from popular Korean brand Sticky Monster Lab (SML). Oh, did we mention the first-ever Custom Merlion Show ? That will be on display as well. 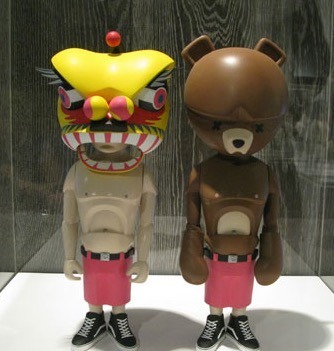 BTS is your first chance to see the new Great Twins toys up close and in person. 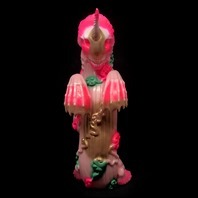 The Phantom Whale returns in a new floral-hued edition. 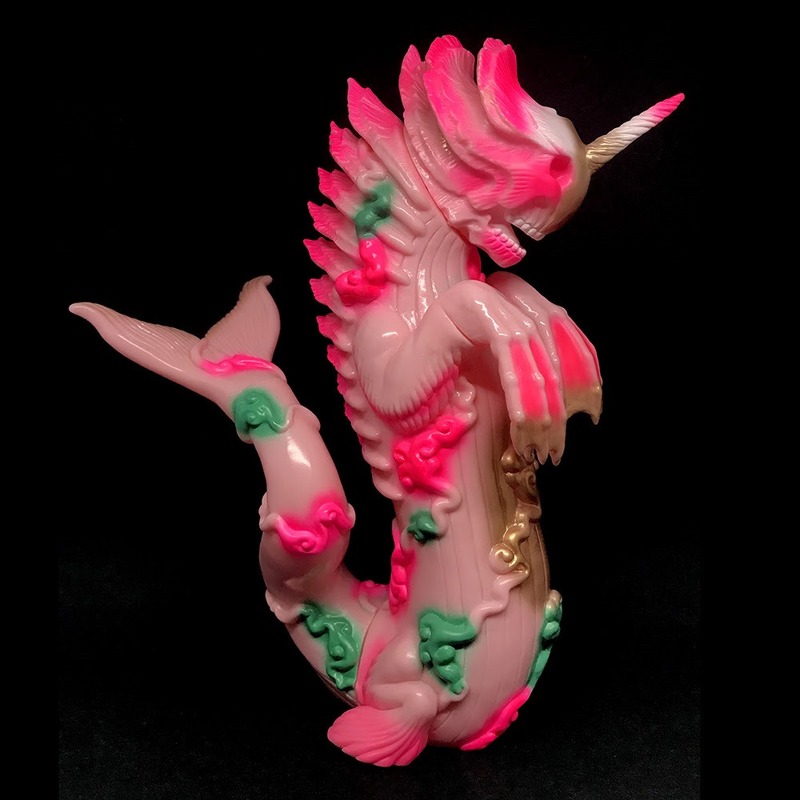 The Golden Spots Bake Kujira (11”) from Candie Bolton and Toy Art Gallery is cast in light pink vinyl with a handful of sprays: pink, green, white and gold. 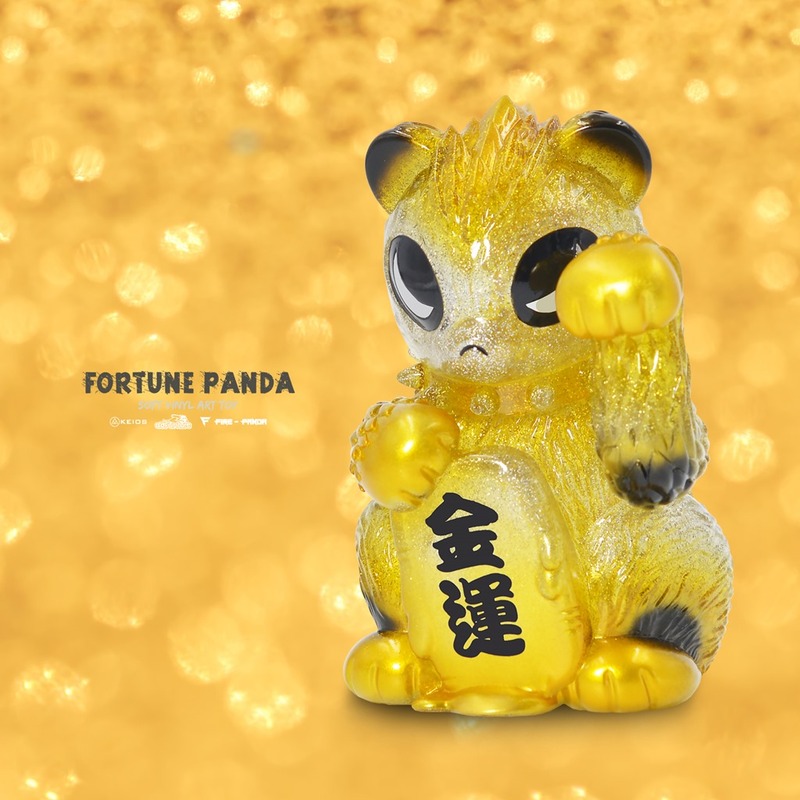 Golden Spots drop on Friday (8.31) at 12 PM PDT for $185 from the TAG Web Shop. 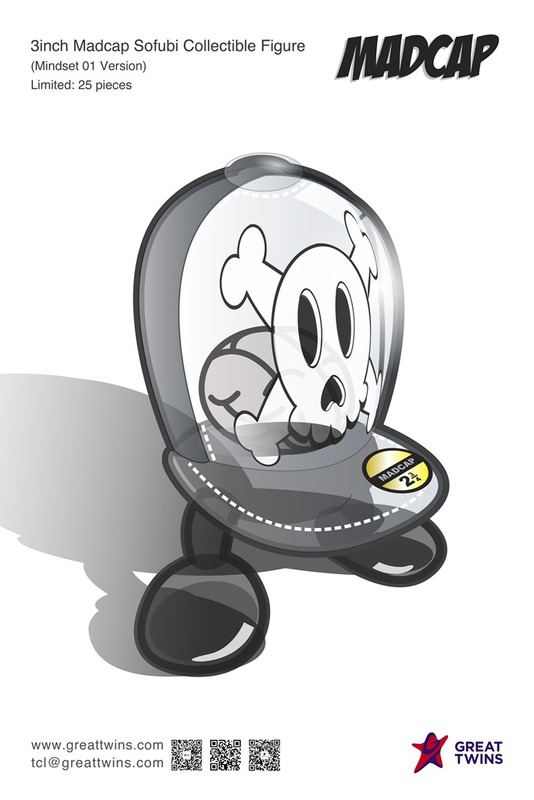 Nathan Cleary, the man who brought you the Spongrenade, is back with another explosive design. 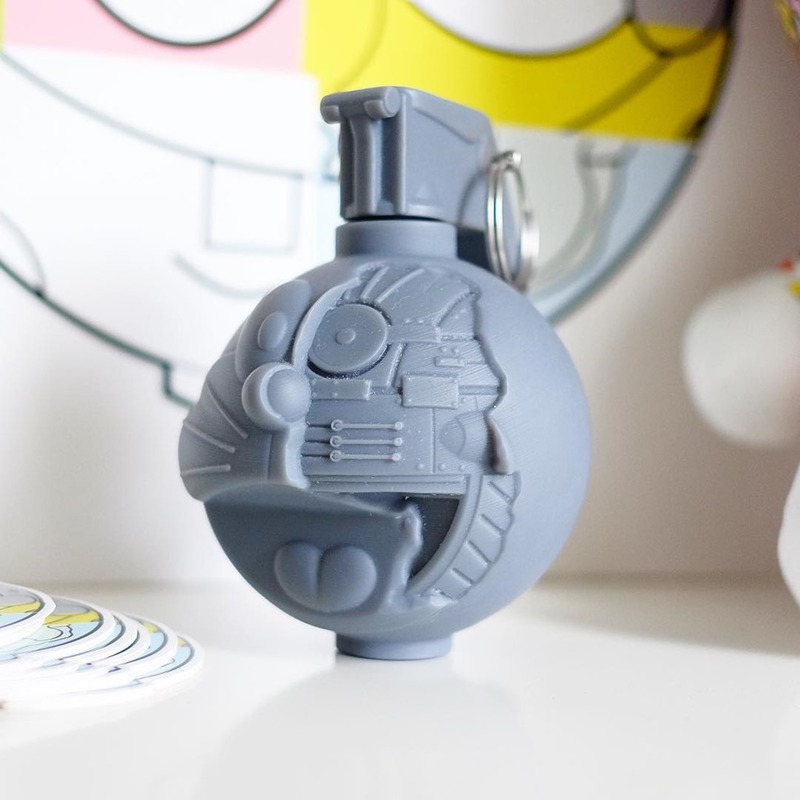 DoraeMECH Grenade features a brand-new sculpt inspired by Doraemon—the popular anime/manga cat. 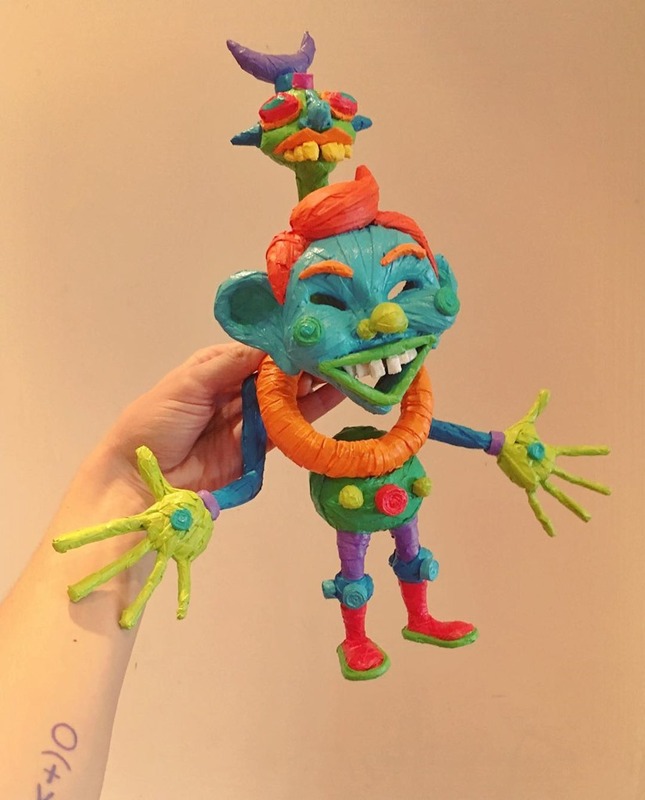 Seen here as a 3D-printed proto, this one is slated for 2019. 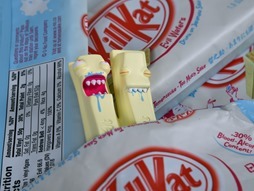 Something to look forward to! Are you a ‘Freak’? 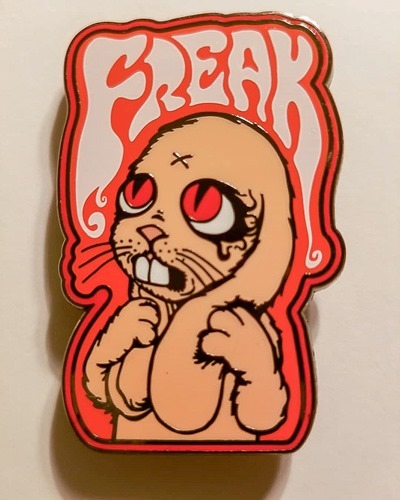 Wear it proudly and stand out from the crowd with this dope new enamel pin from Jermaine Rogers dropping this Thursday (8.30) at 12 PM PDT from his web shop. 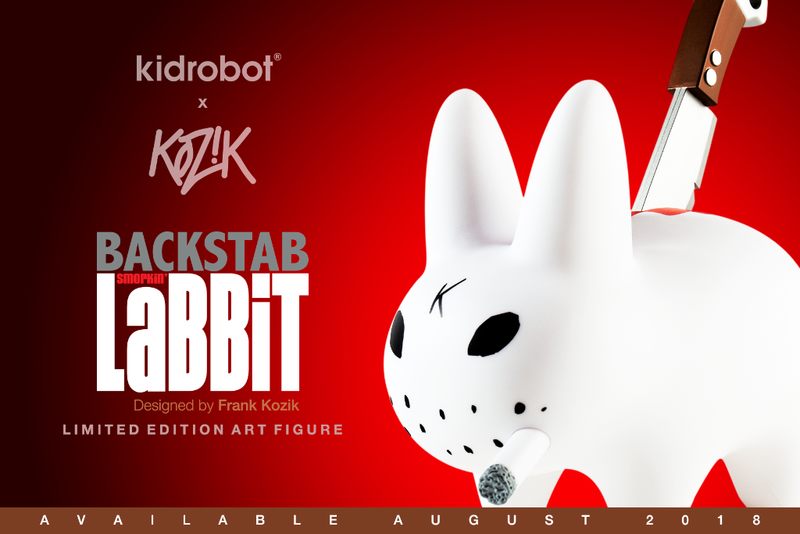 Dig the retro style design and of course the rabbit. 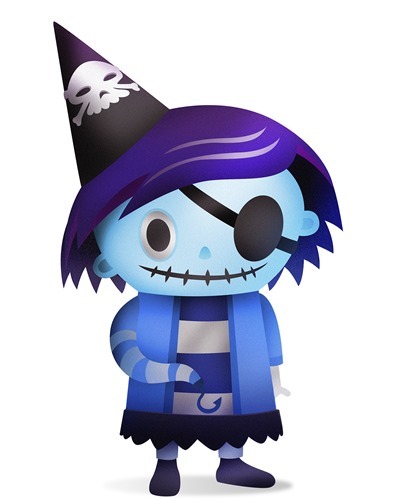 There’s also a GID version…! Tomenosuke’s Too Much Sake Exclusive Kill Kat proves that the carnivorous treat beast has at least one true nemesis. 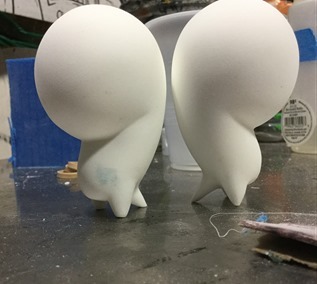 Having had just a bit much of the iconic Japanese spirit, the drunken pair are literally wearing their diminished state as they slowly turn a lovely shade of blue. This exclusive edition comes with probably our favorite wrapper so far featuring Japanese text and a traditional Japanese illustration. 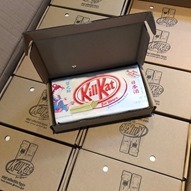 So… When ? 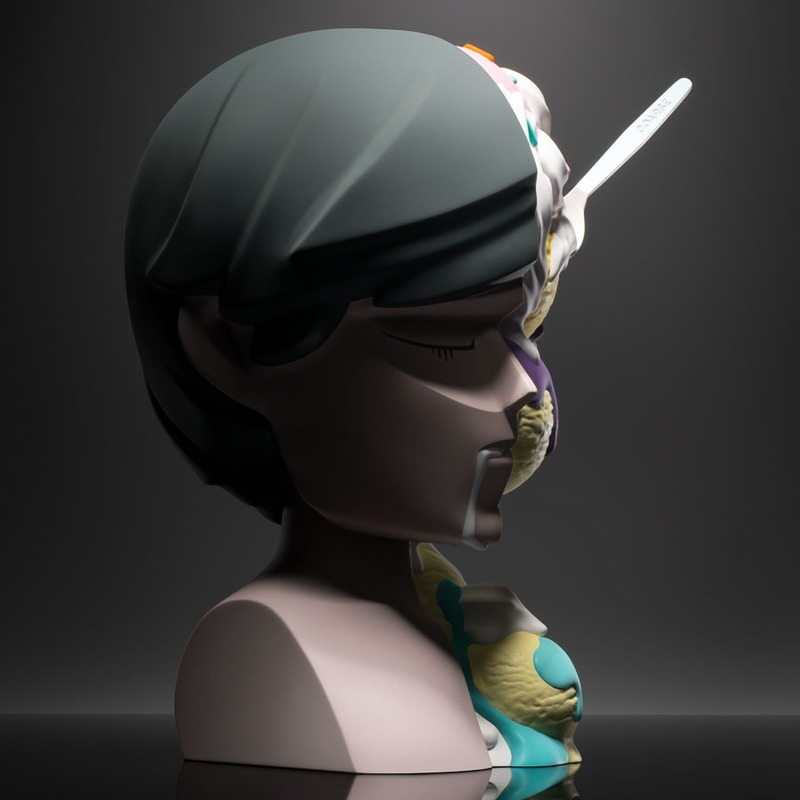 Tomenosuke will debut the Too Much Sake edition at STGCC (9.8 – 9.9) where 50 (of 150) pieces will be available at their booth [#MB31]. 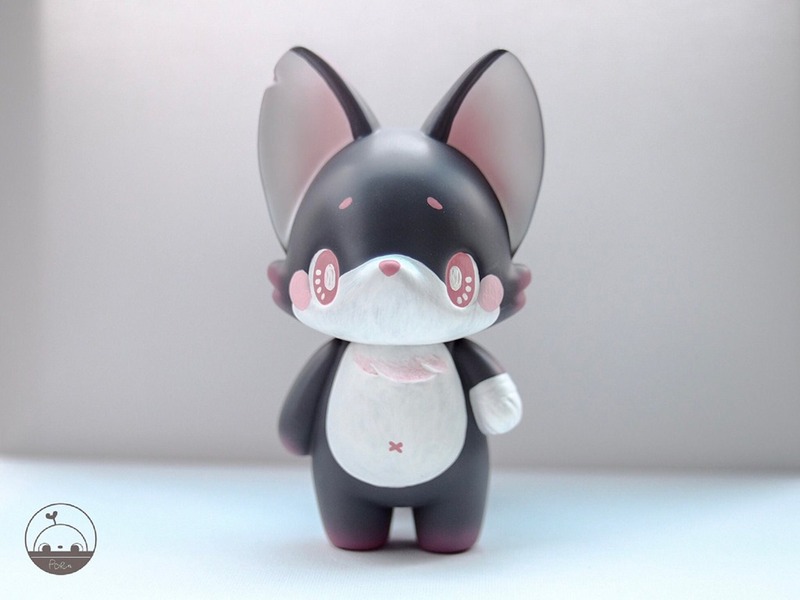 The general online release will follow on Wednesday September 12th from Tomenosuke’s International and Japanese web stores. 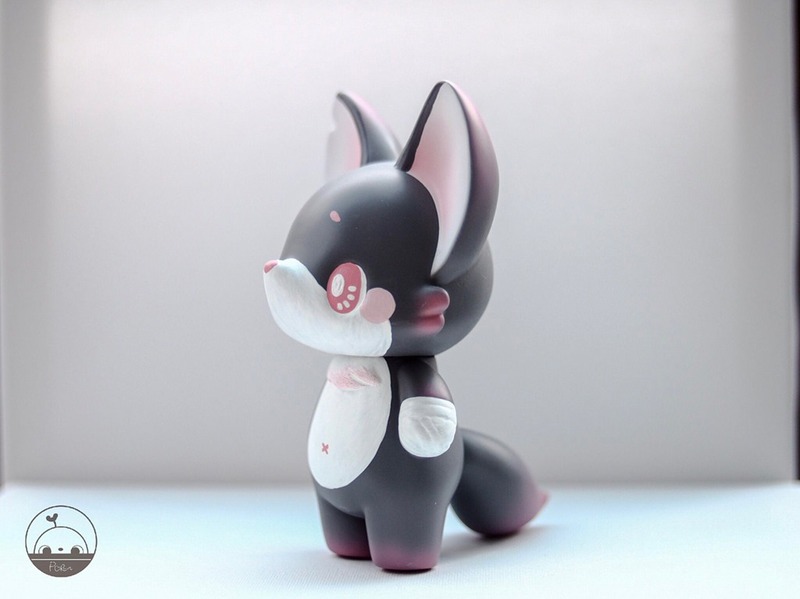 A small quantity will be held back for DesignerCon (11.16 – 11.18) and Tokyo Comic-Con (11.30 – 12.2). 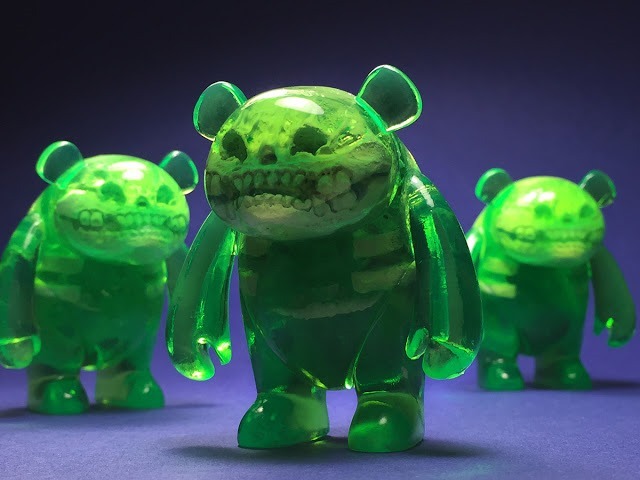 Scott Wilkowski is going back, way back for another run of his Cave Bear (aka Infected Yoka figure, this time in a Sour edition featuring translucent sour apple green resin. 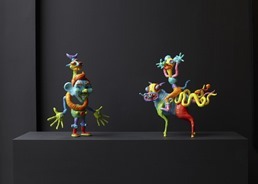 It’s available for pre-order now for $100 each from Scott’s web shop. Scott created the Cave Bear for DKE’s Yoka Show at DCon 2009 (!!!) 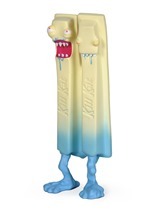 and at the time I remember thinking, ‘what is this ?!?!’. This one brings back memories. 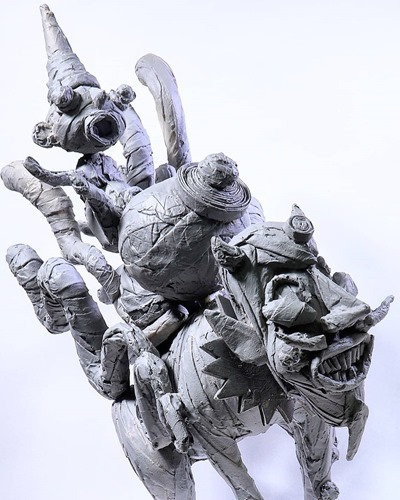 I’m not 100% positive on this, but I think this might have been the first Infected figure based on my (faulty) memory and Scott’s reference to it as Patient Zero. 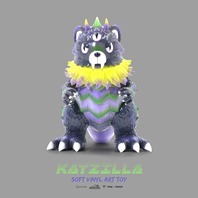 Beyond Scott’s killer design, this release is also a sweet reminder of the Yoka platform toy created by adFunture, who by the way is in the middle of a toy comeback. Unbox is busy translating Gary Card’s wild Breakfast Boys characters into what promises to be a remarkable series of art toys. 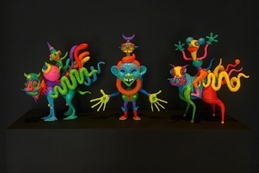 The toys are based on characters from his Happy Breakfast exhibition (September ‘17, Golborne Gallery) which featured a collection of neon-colored paintings as well as a trio of painted prototypes including the stylized child, Smudge, and two others featuring characters riding eclectic beasts. 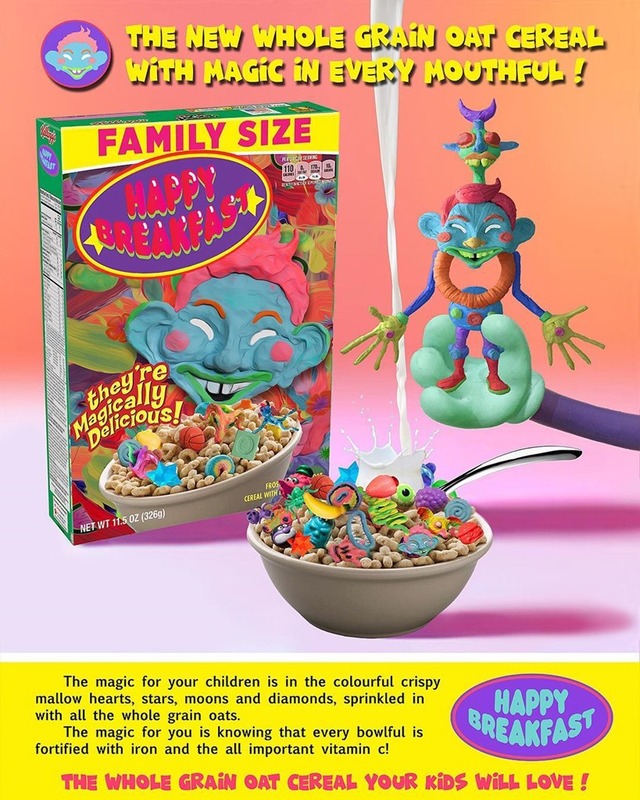 As you can see in the concept illustration below, the series is inspired, in part, by cereals filled with brightly colored sugary marshmallows and other sugary bits. At the time we wondered if these protos were in fact the toys in the works from Unbox. 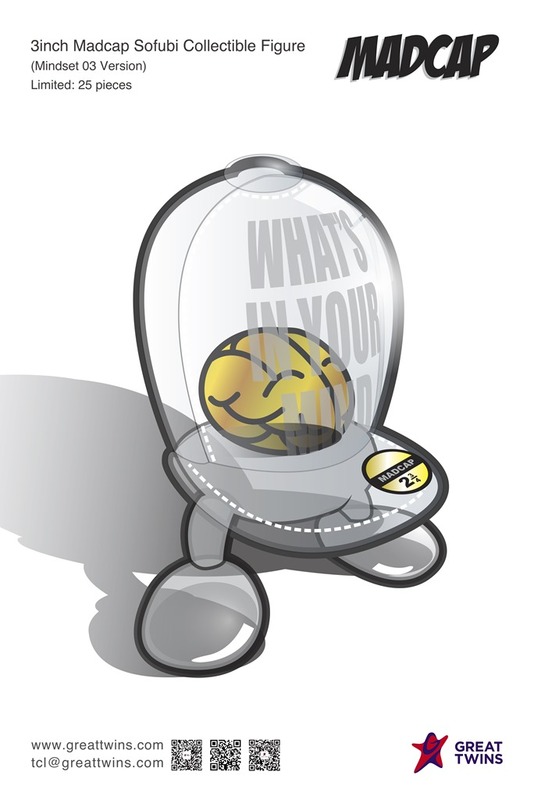 Thankfully, the answer is yes! Unbox has recently shared images of two unpainted protos – one of which is clearly Smudge and the other matches up with one of the ‘mounted’ September protos. 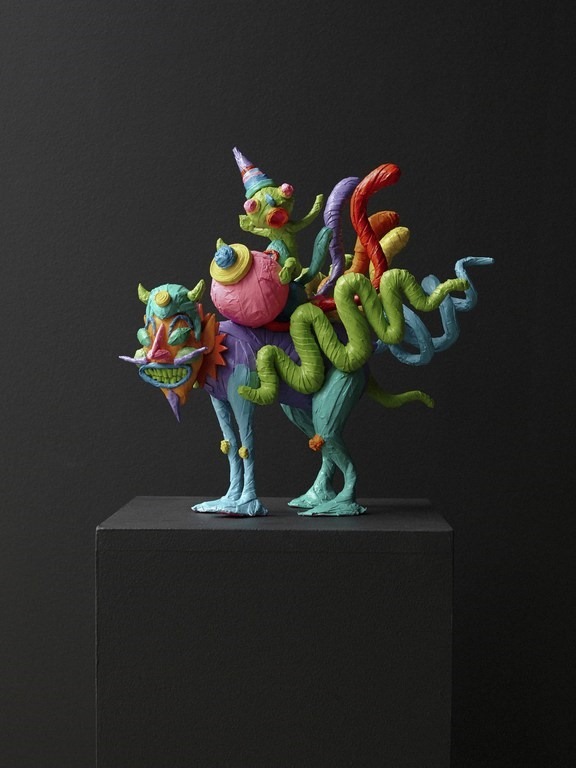 Beyond the strong character designs and vibrant color combinations, the rough organic texture—resembling paper mache—is what sets Card’s work apart and is what should make these some of the most memorable releases of the year. 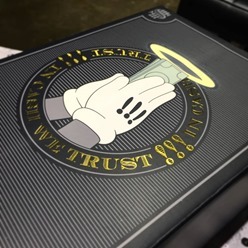 With In Cash We Trust, Abell Octovan turns his attention towards the all-mighty dollar and its all-consuming importance. 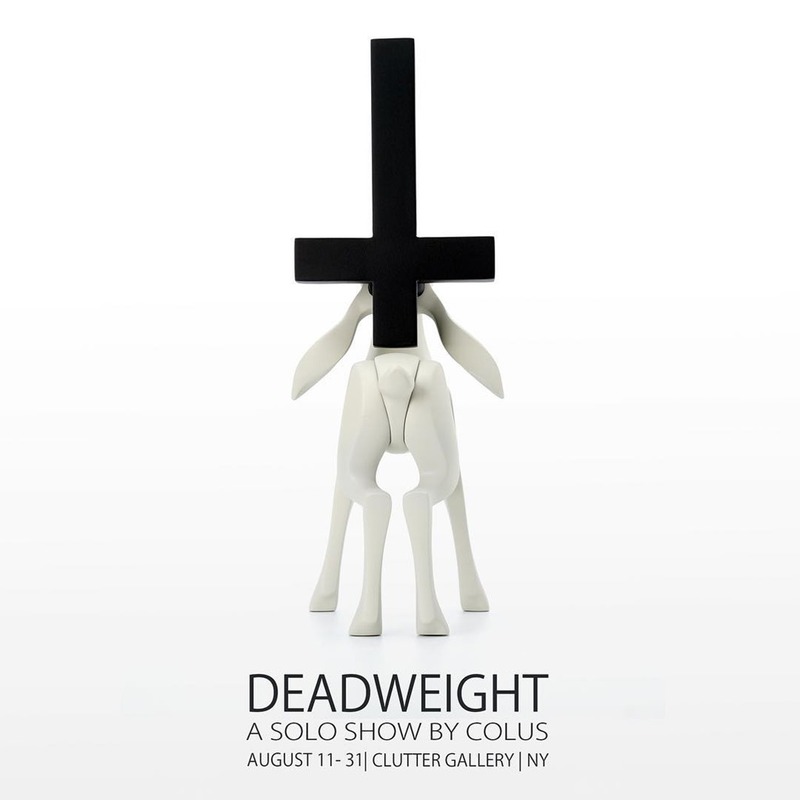 For many struggling to make ends meet, Divine salvation has nothing on stacks of paper. Featuring a pair of mouse hands clasping a stack of cash in a prayer pose, the soft vinyl figure measures ~7.9” tall, is limited to 200 pieces and is set to debut at the Beijing Toy Show in the adFunture booth for $100. 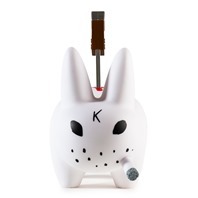 If you can’t make it to BTS, it’s also available for pre-order from Ko-Re Ko-Re for £80 (~$103). 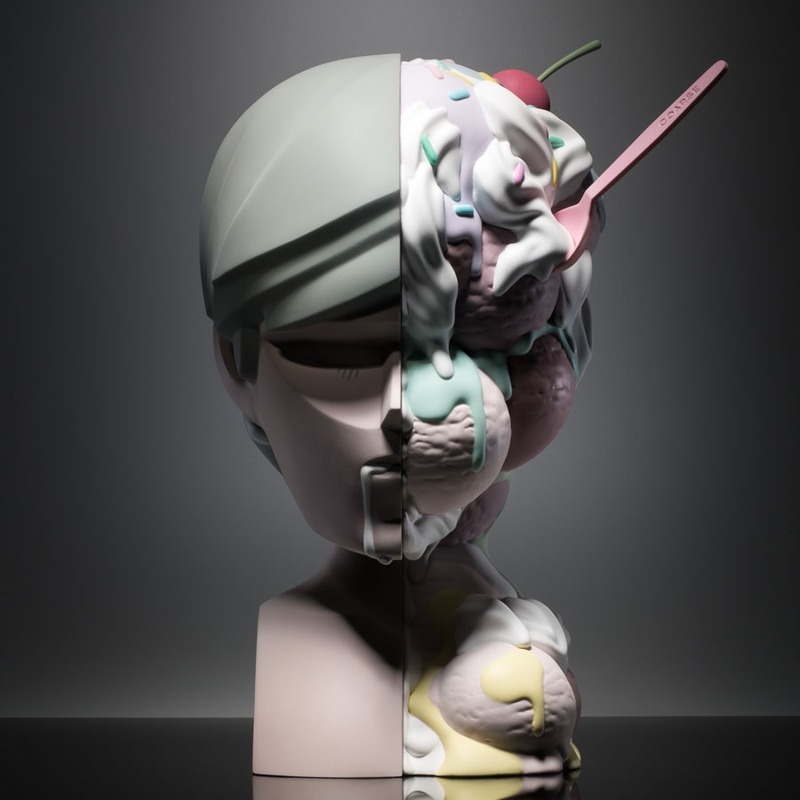 With an exciting new joint venture, Pop Life—known for its art toy collectibles—will greatly expand its reach, scope and focus to become a multi-faceted entrainment company. 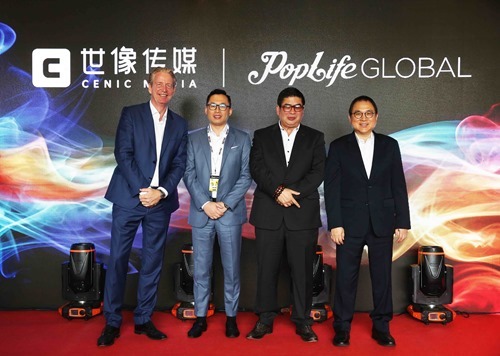 Pop Life has joined forces with Shanghai-based Cenic Media to create Pop Life Global. Founded in 2014, Cenic Media has released several films including The Legends Of Monkey King, Mr. Bodyguard, The Visioner, and My Fox Immortal Wife. 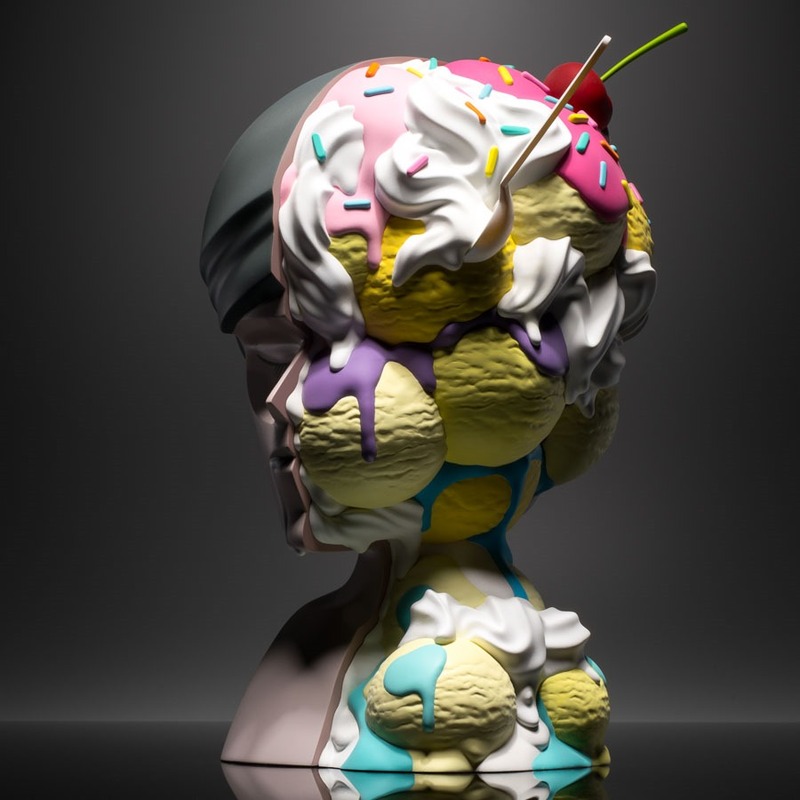 The new company will build on both firm’s entertainment projects under the guidance of their executive team with extensive experience leading premiere entertainment brands. 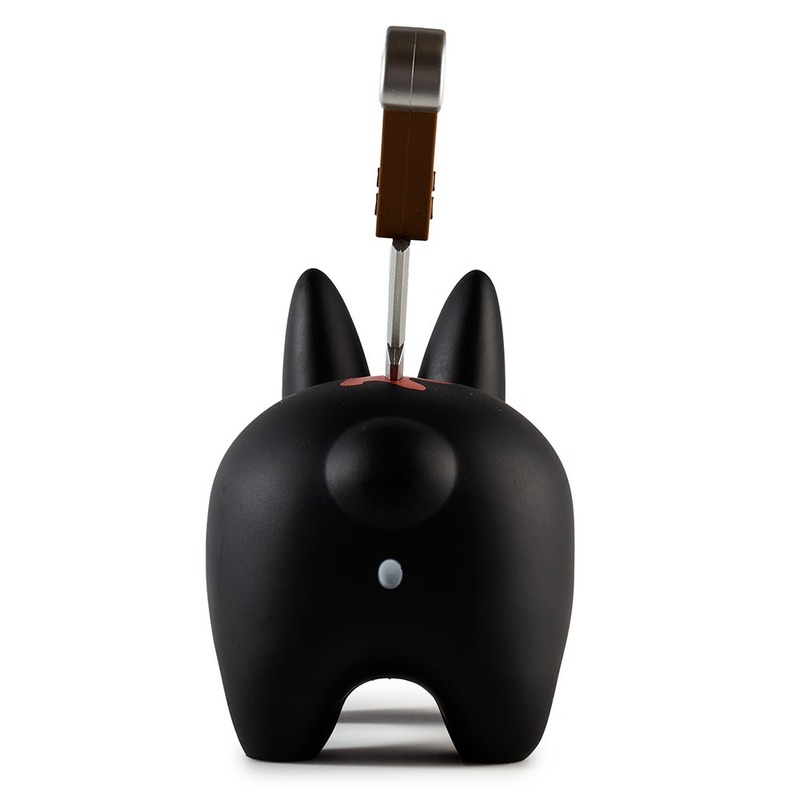 We’re looking forward to what’s next from Pop Life Global. 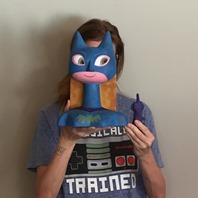 On the movie side, the firm has two films currently in post production: Painted Beauty, starring Claire Holt (47 Meters Down), and the eSports adventure Underdogs Rising. 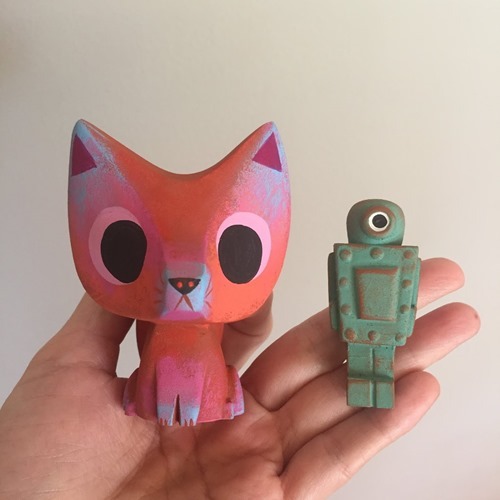 On the art toy side, we can’t wait to see what Pop Life Global has planned for it’s massive SFBI Originals booth [60’ x 80’] at DesignerCon. 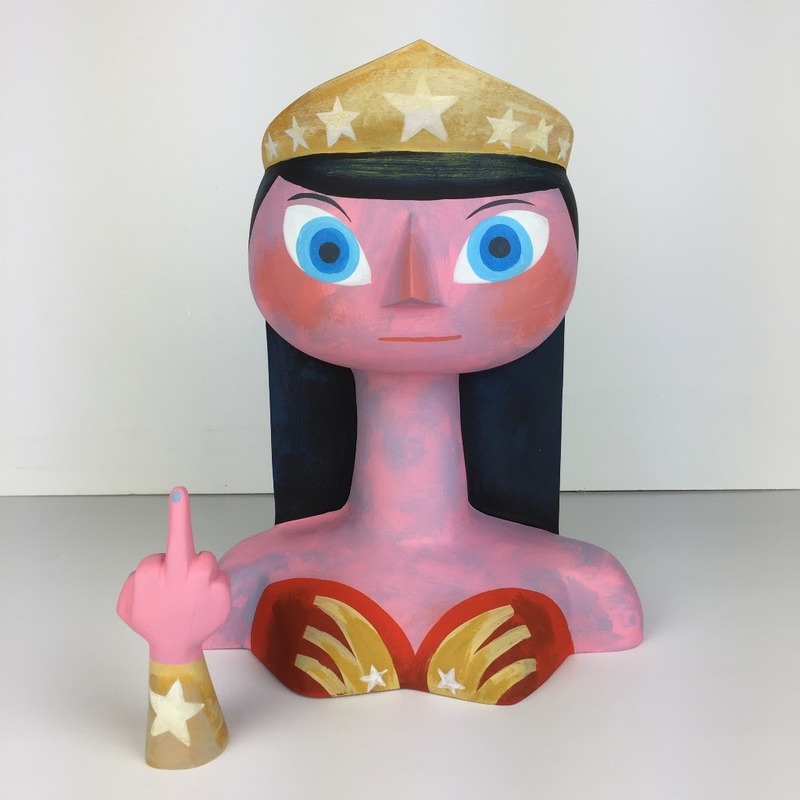 Amanda Visell has just released her Super F*ck Off resin busts. 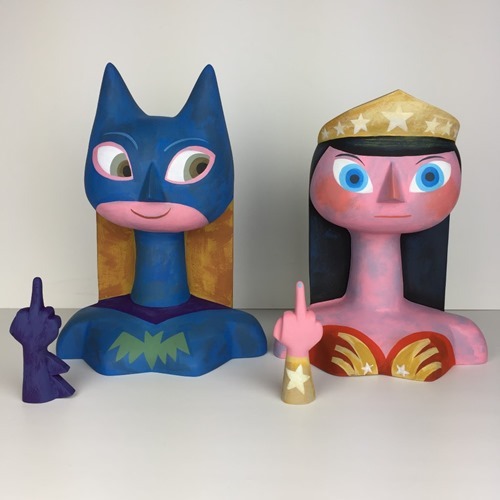 Standing 11.5” tall, the Wonder Woman and Bat Girl Super F*ck Off pieces-build upon her previous smaller works featuring women standing up to oppression in vivid fashion. 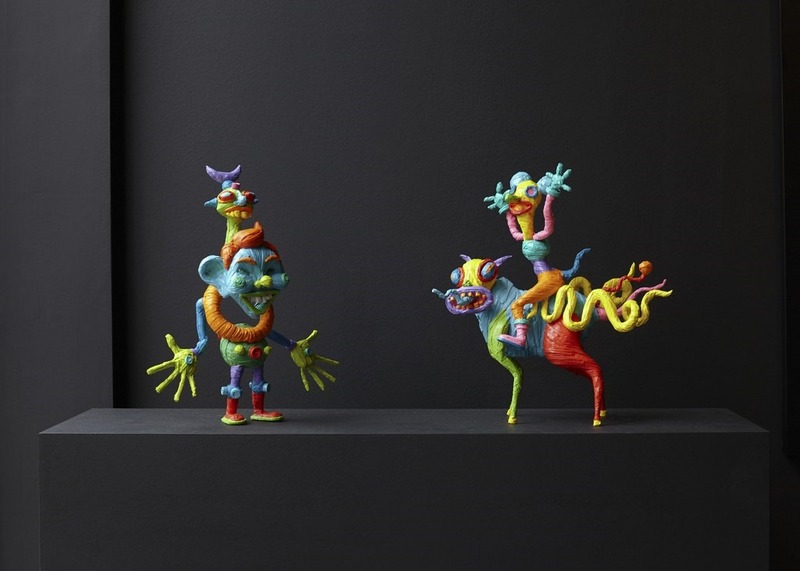 Limited to just three pieces each, both of these editions are beautifully hand painted by Amanda and are available for pre-order from Switcheroo for $1200 each. 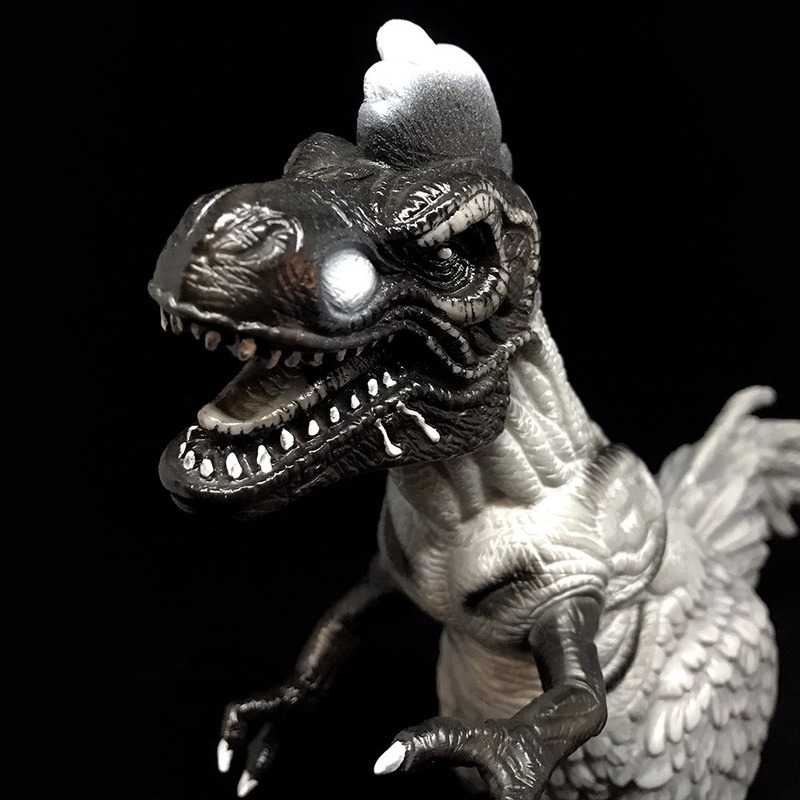 While much will be said about ‘the bird’, we’ll just point out that these can be displayed with or without the accessory depending on your mood. 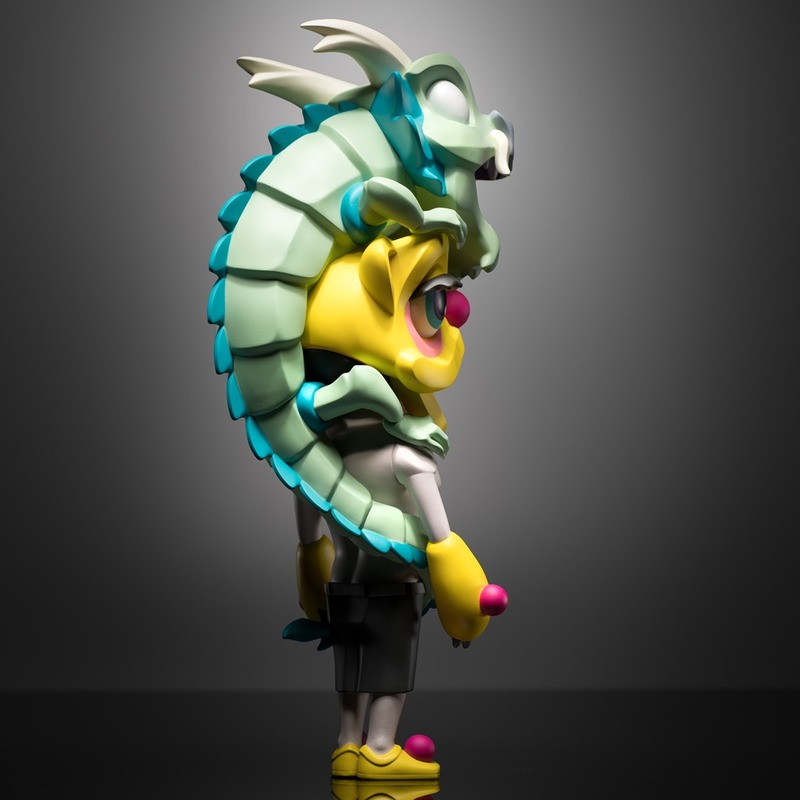 adFunture, one of the original designer toy companies, has recently started to produce a new line of toys. At the Shanghai Toy Show this past April, they released several new soft vinyl figures done with Bee Wong. 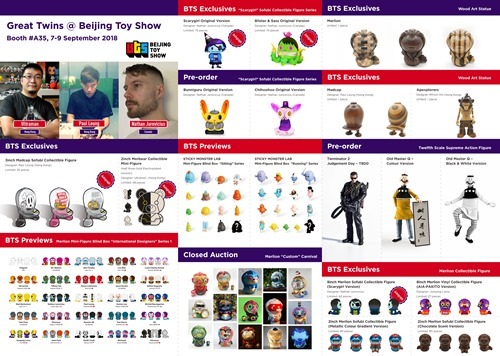 Now, they are readying new editions of these collaborative toys for Beijing Toy Show (9.7 – 9.9). 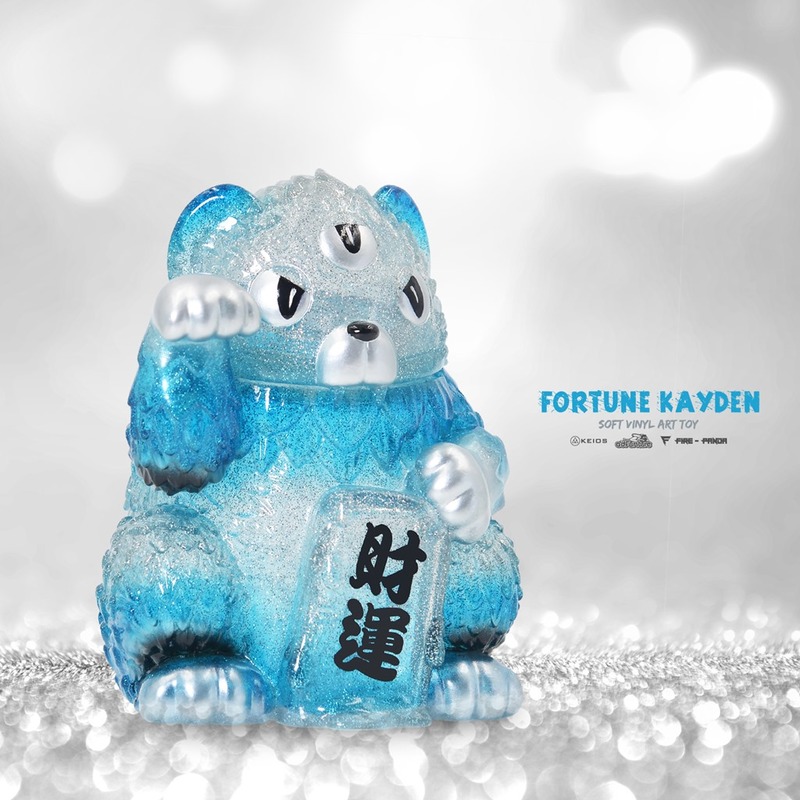 Kayden, the mascot of Keios Under The Veil—adFunture’s sister apparel company—makes a big splash here. Kayzilla crosses Kayden and the legendary Kaiju into a compact yet powerful new beast (4.7”). 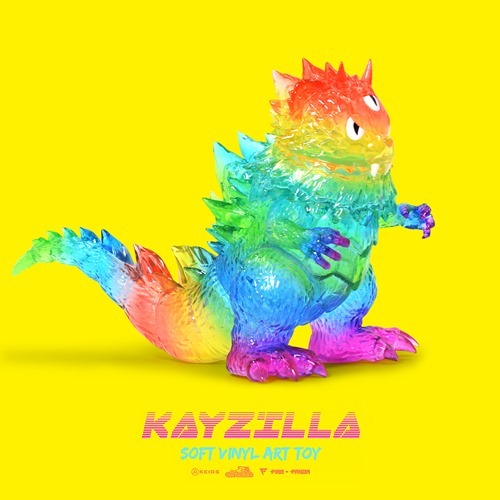 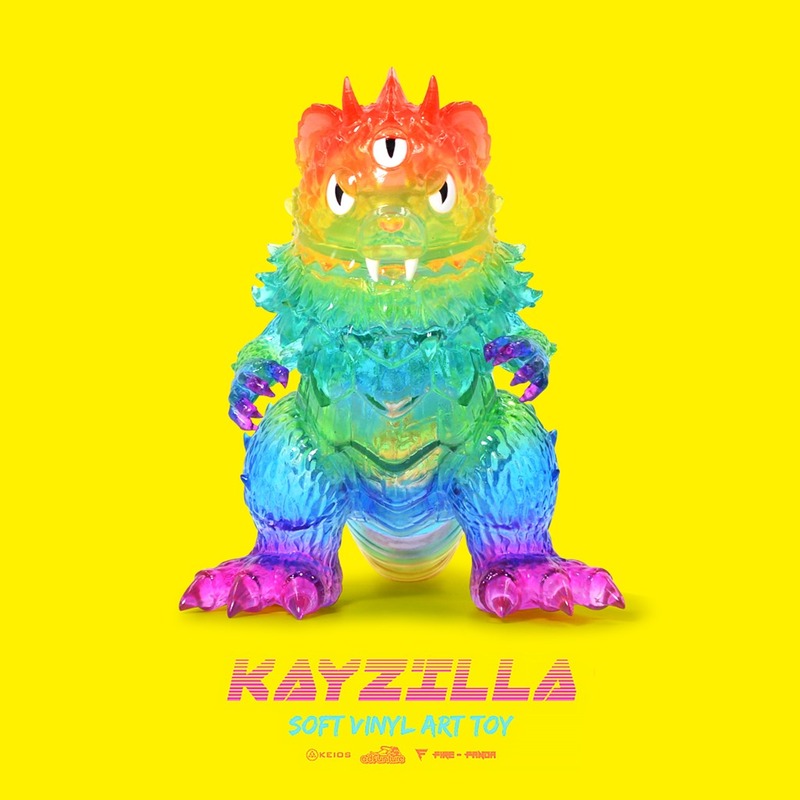 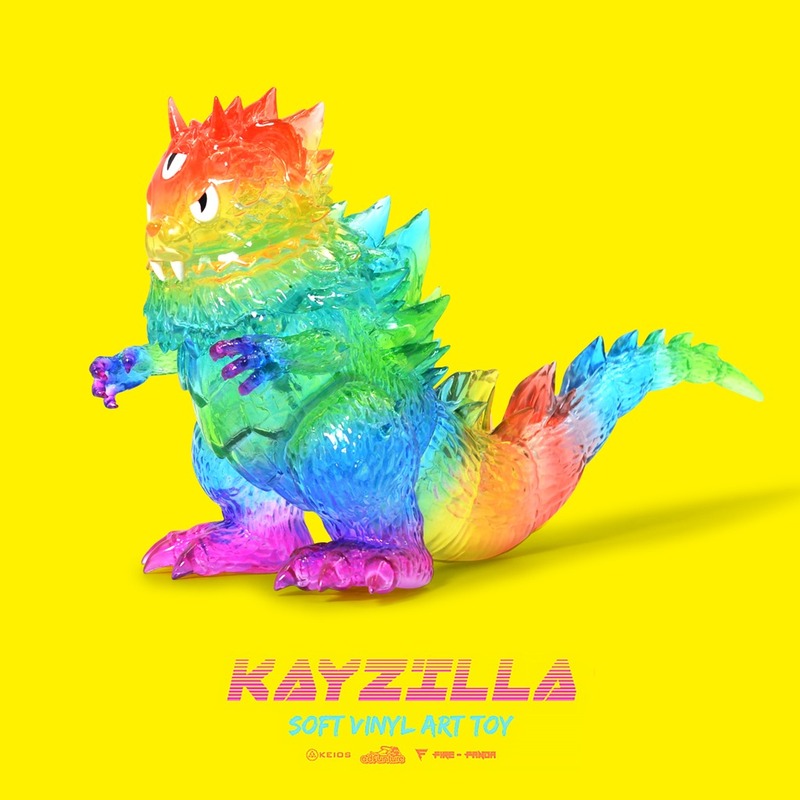 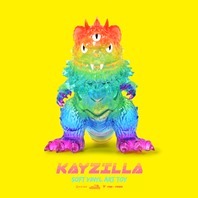 Kayzilla will be available at BTS in both a Rainbow edition (30 pcs, $85) and a Glow In the Dark edition (50 pcs, $100). 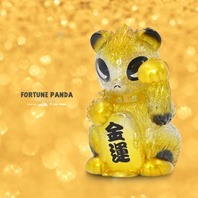 adFunture will also release the newest editions in the Bee Wong-designed ‘Fortune’ series including an ice blue Fortune Kayden as well as a golden Fortune Panda, the latter of which blends the Keios Mascot with Bee Wong’s own Fire Panda character. 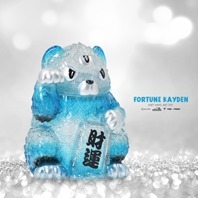 Both Fortune editions (4.5”, 50 pcs, $75) feature an appealing combo of glitter and translucent/clear vinyl. 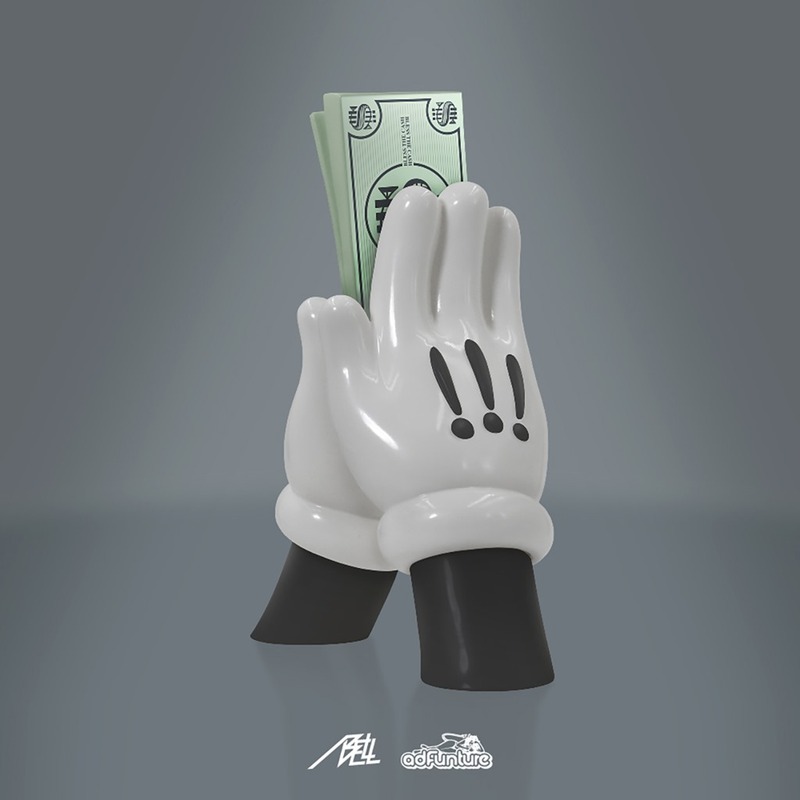 For all the latest adFunture news, be sure to follow them @adfunture_official on Instagram. RecycleC’s Takhon returns from Toy Art Gallery in the new Minty Blank edition on Friday (8.24) at 12 PM PDT for $85 from the TAG Web Shop. Following on the footsteps of July’s Blood Sacrifice edition, the new incarnation pares things back with a cool unpainted edition cast in light teal. Based on the Thai Ghost Festival, Takhon (7.5) features 7 points of articulation and comes with two one-eyed ghost companions attached via chains. 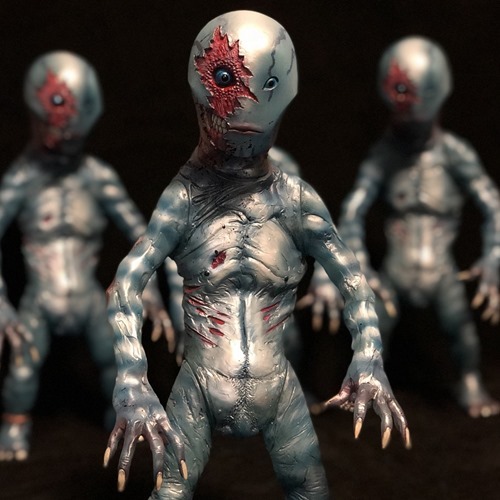 Miscreation Toys and Zecrtron have melded minds to create The Atomic Sapien inspired by Miscreation Toys’ founder Jeremi Rimel’s love of Abe Sapien, Hellboy’s aquatic ally. 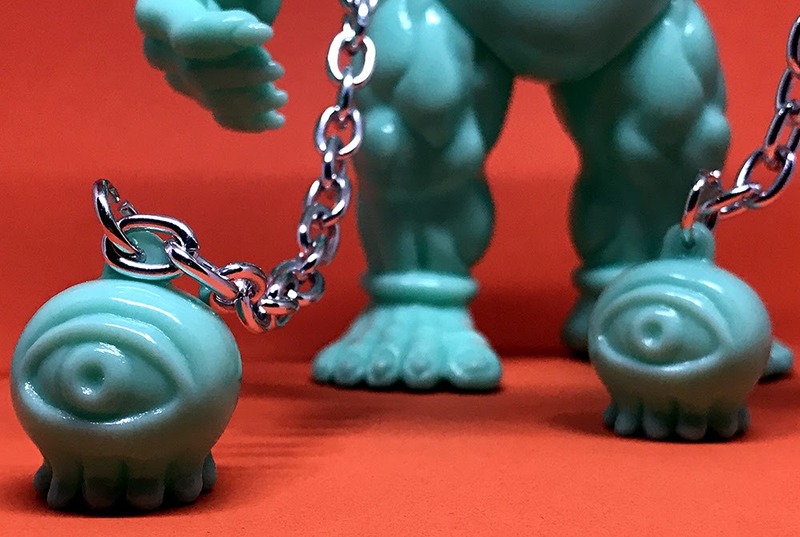 Limited to just four pieces, this micro run of the Atomic Alien vinyl figure from Unbox features Zectron’s head sculpt and a body sculpt from nastyPLT. Featuring blues, greens, silver highlights, and battle damage, The Atomic Sapien (12”) drops at 12 PM PDT this Friday (8.24) for $230 from Miscreation Toys. Gorgeous. 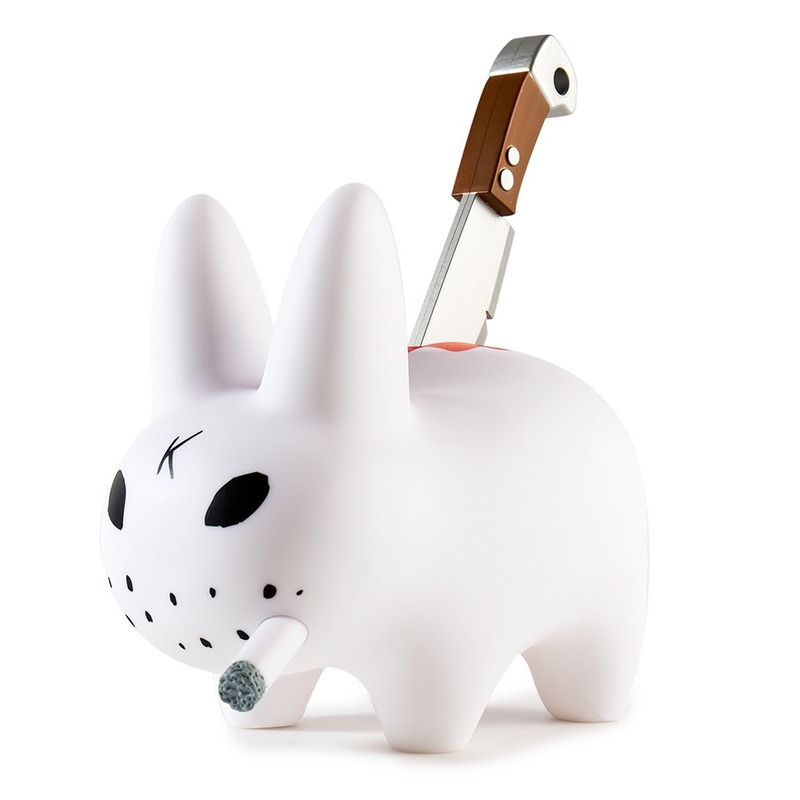 Kidrobot has just released the Backstab Smorkin’ Labbit from Frank Kozik and they are going extremely quickly. 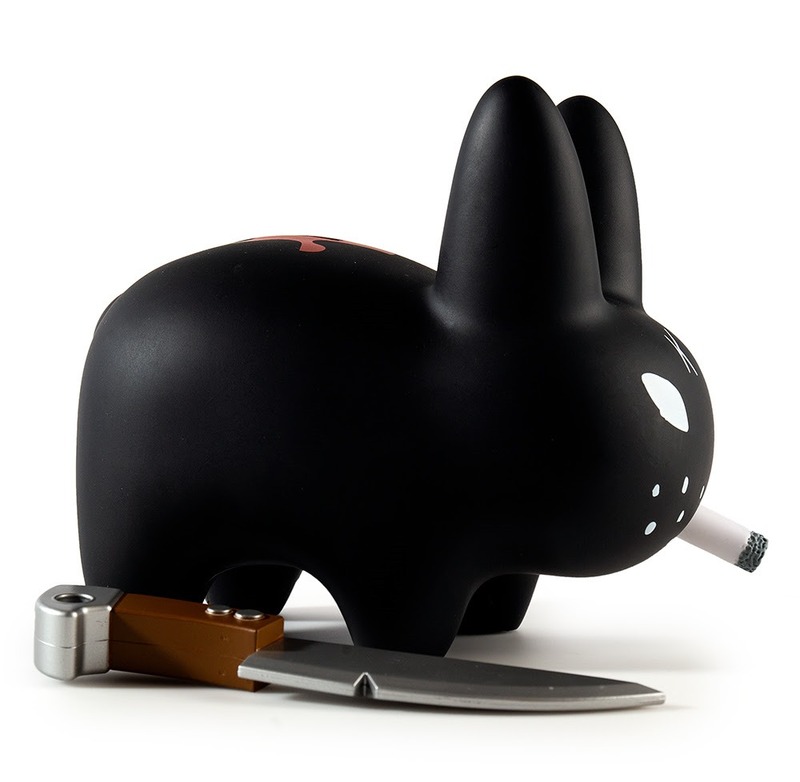 The new 7” edition features a knife plunged deep into the back of his signature figure. Beyond the striking visual and the evocative expression, what puts this one over the top is that you can remove the knife. This one was released in a KR-exclusive Black edition (150 pcs) which quickly sold out as well as a standard White edition (550 pcs, $49.99) which is sold out at Kidrobot and going quickly based on our spot checks. 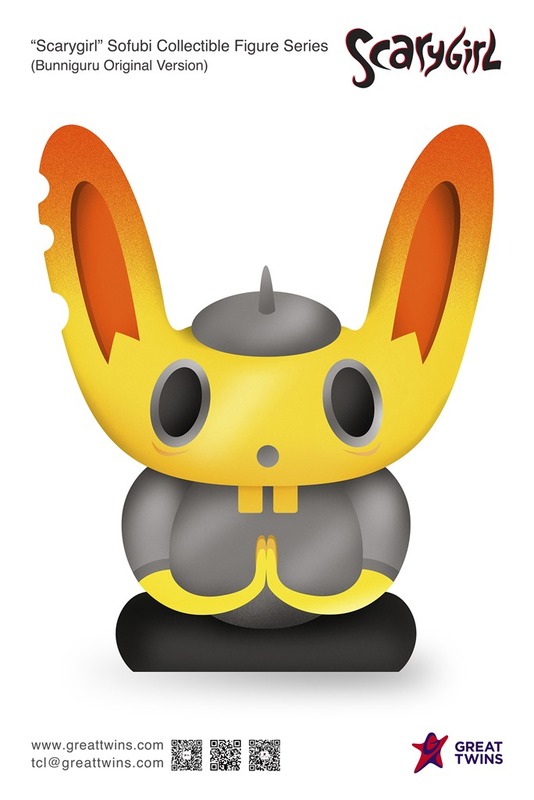 In fact at the moment, the only online stock we could find is via DeKorner and Mindzai. 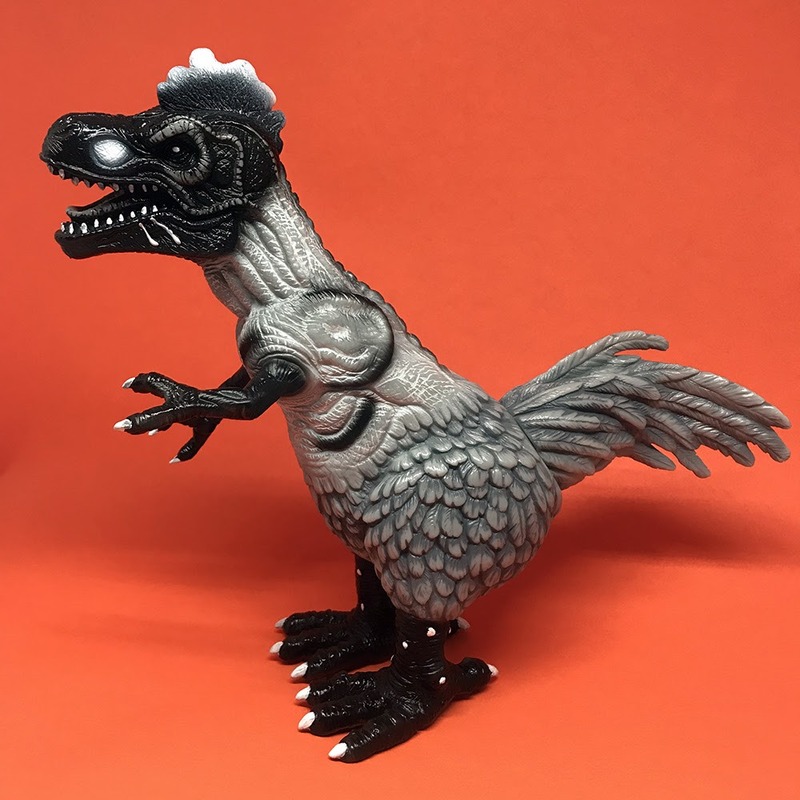 3DRetro will also be releasing the figure tomorrow (8.22) both in store and online. 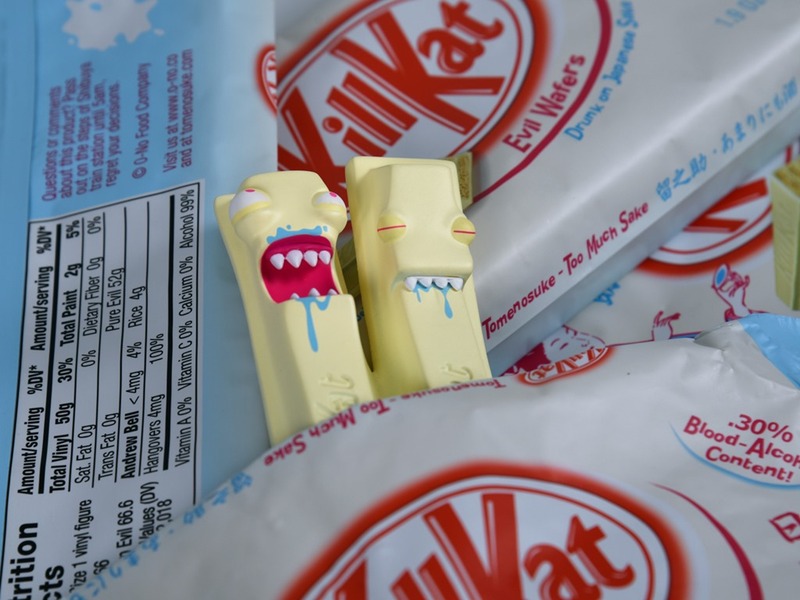 So if you haven’t picked one up, there’s still time… barely. 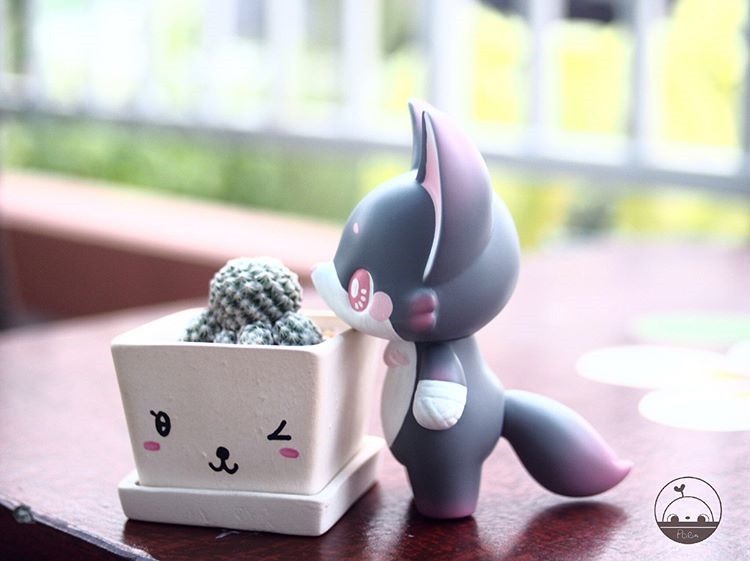 If you haven’t already picked up Amanda Visell’s new Baby Fox + Robot resin set, there’s still time with two sets left as of this posting. The set features a cute red+pink fox (3.5”) with a mini-robot likely designed by Michelle Valigura. The set is available for $90 from myswitcheroo. 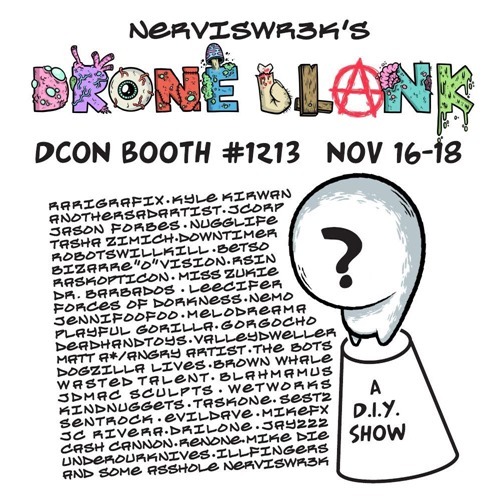 Nerviswr3k (Gabriel Rivas) has announced the first-ever Drone Show featuring 40+ artists showcasing their talents on his recently introduced Drone DIY blank. 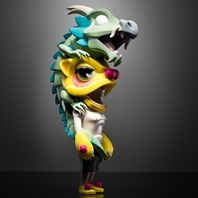 The show will open at DesignerCon 2018 (11.16-11.18) in the WeAreNotToys booth [#1213] with a lineup with a talented roster which includes Kyle Kirwan, Nugglife, Tasha Zimich, RobotsWillKill, Betso, RSIN, Miss Zukie, Leecifer, Nemo, Valleydweller, The Bots, Wetworks, TaskOne, JC Rivera, Drilone, Mike Die, Jay222, and Nerviswr3k. 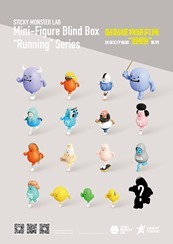 See the flier above for the full roster. 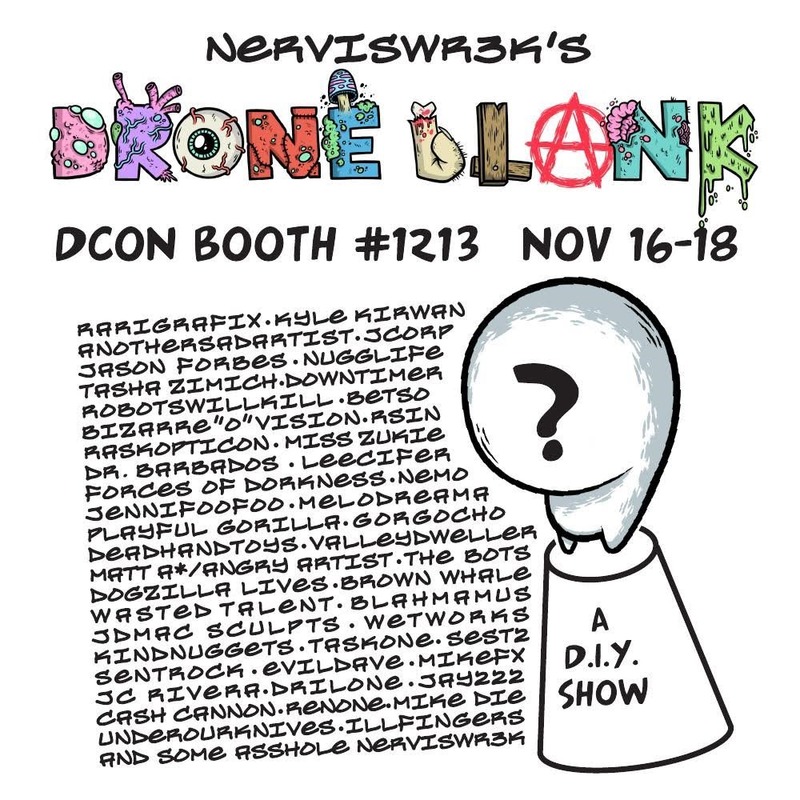 While Nerviswr3k has been using the Dron e Blank as the basis of much of his work for awhile now, this is the first time he’s offered it and promoted it as a product onto itself. 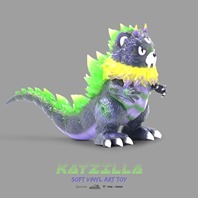 If you’d like to get your hands on one, he’s taking pre-orders now ($25 including shipping) to be fulfilled after DesignerCon. 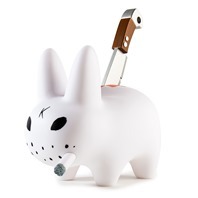 Order by DM via his Instagram. 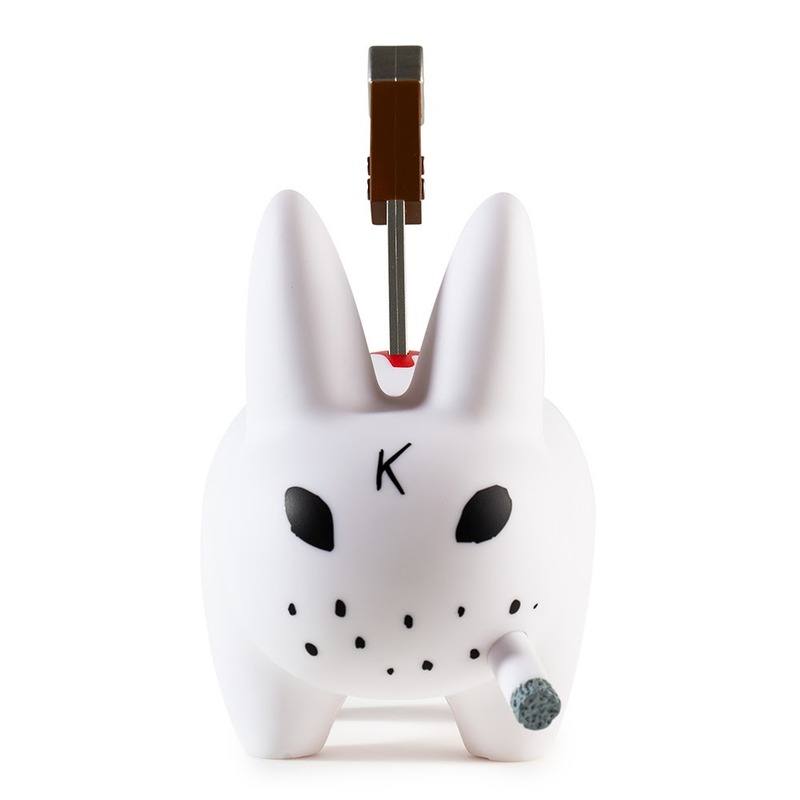 So there’s a new Bodega project in the works from kaNO and new brand Knocks on Wood. 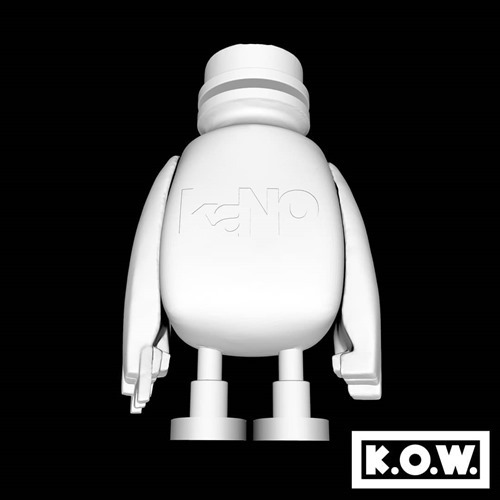 Knocks on Wood posted a teaser shot which appears to be a 3D-model of the figure – more or less identical to the OG vinyl version. 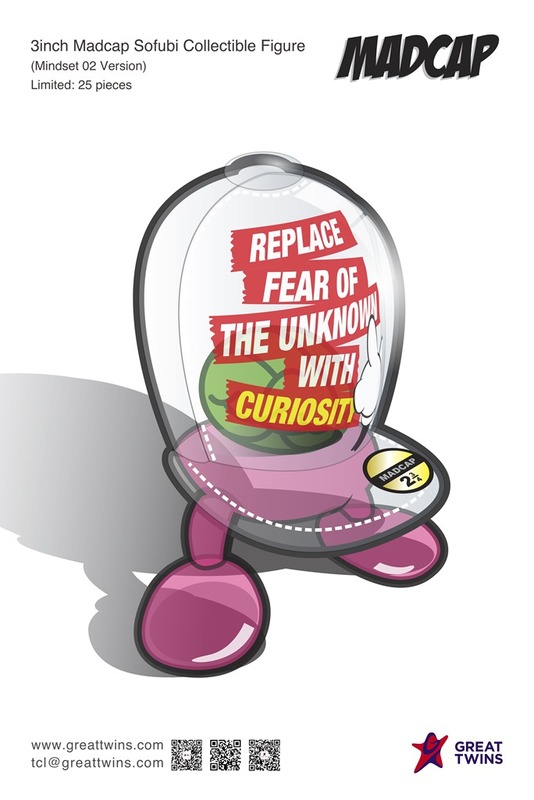 So, what’s this new project about? 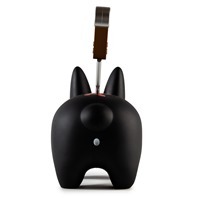 A few, perhaps focusing on the brand’s name, have suggested this will be a wood version. That would be pretty dope. 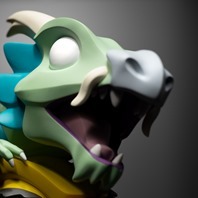 If true, that would raise the question about the 3D Model… As for when ? 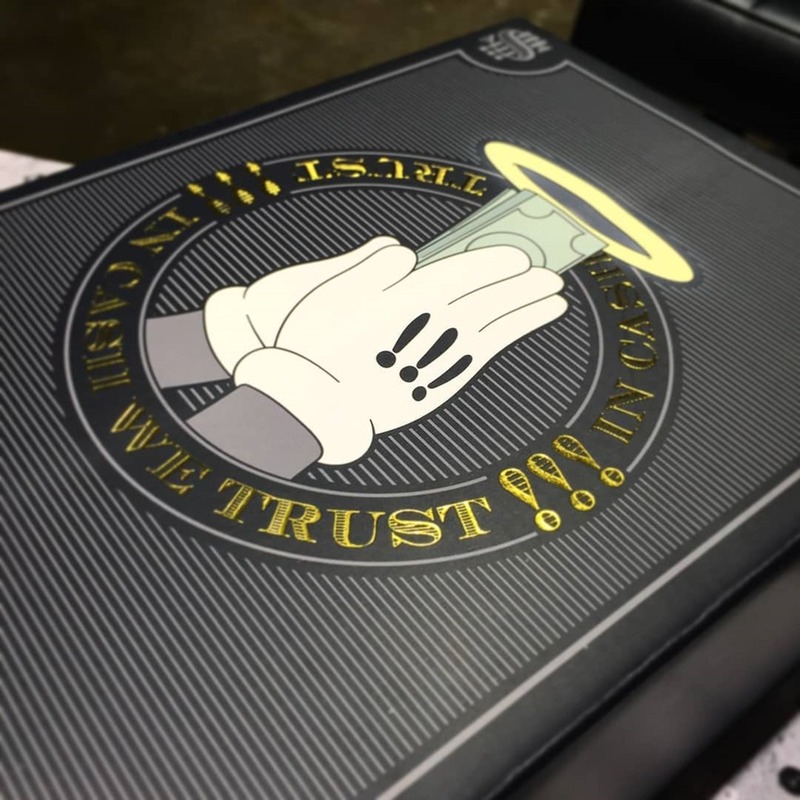 We’re not sure, but we did notice that the IG post has Anaheim Convention Center as the location… DCon anyone? 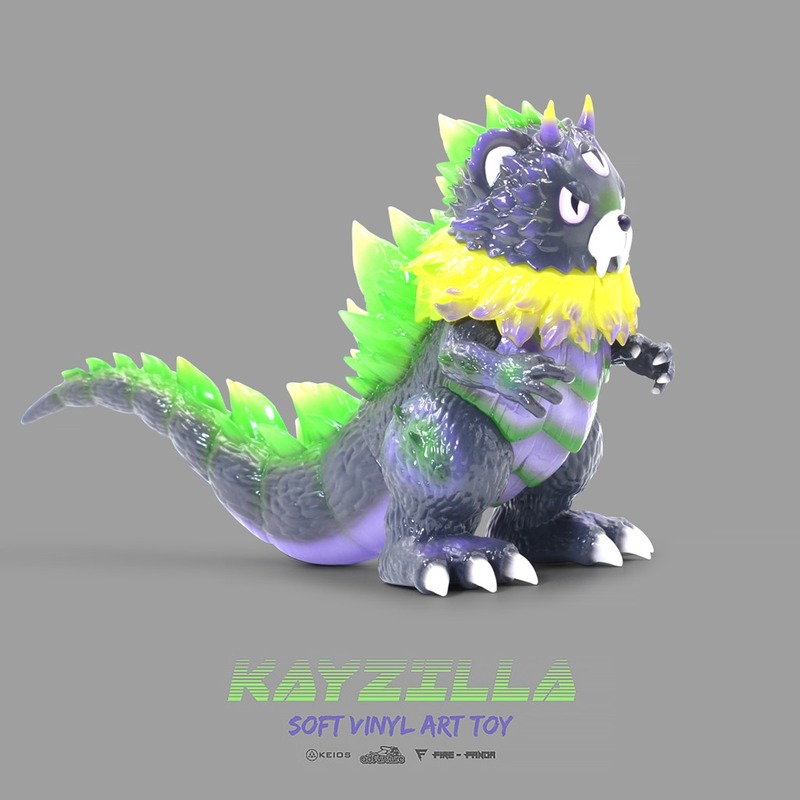 It’s almost two months away so an NYCC teaser reveal is a nice surprise, made all the sweeter considering it’s for the next The Great Showdowns carded resin from Scott C. and DKE Toys. 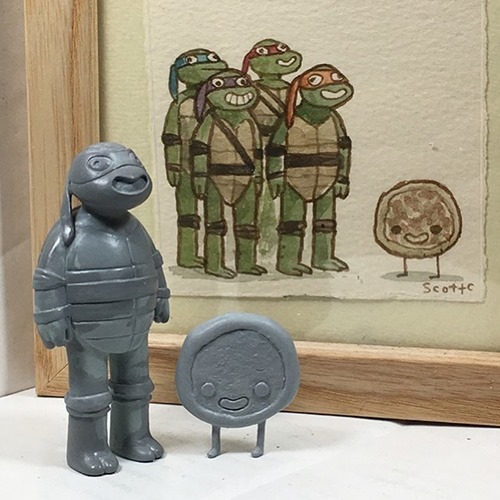 Sculpted by George Gaspar (DoubleG Toys), the latest in the extremely popular series pits a hungry Teenage Mutant Ninja Turtle against a delicious, friendly, and presumably rather hapless pizza pie. 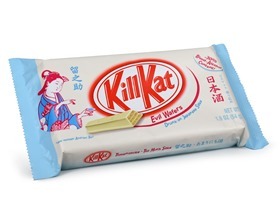 Delicious stuff. 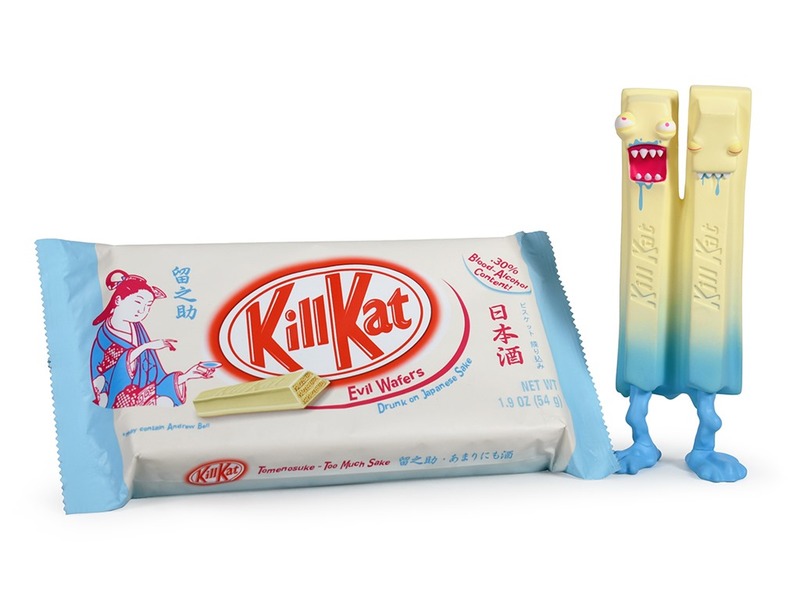 This is sure to be at the top of many NYCC ‘want’ lists. 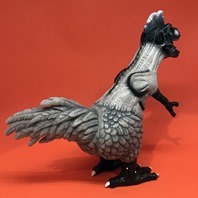 Poultry Rex returns to terrorize your shelves in a new mono edition from Ron English and Toy Art Gallery. 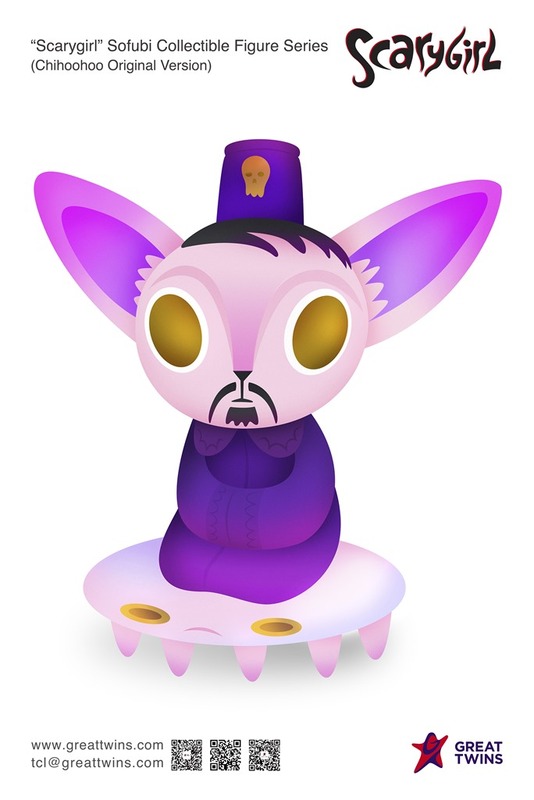 This new factory-painted rendition of the time-bending hybrid beast offers a stylish take on the mono concept. 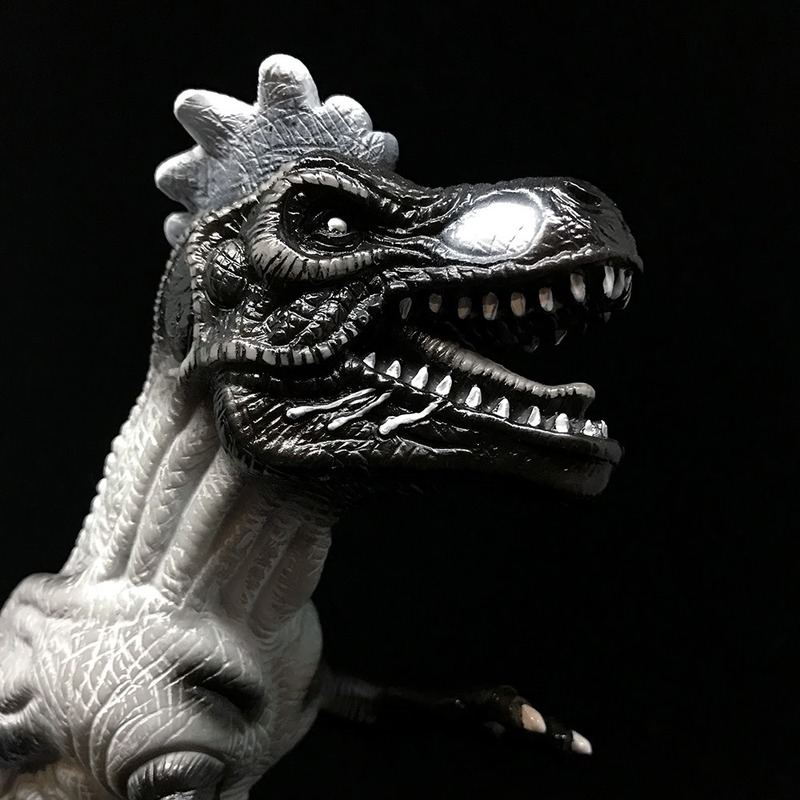 While the head and limbs feature a white on black design, most of the body features what appears to be a gray rub on the off-white vinyl. 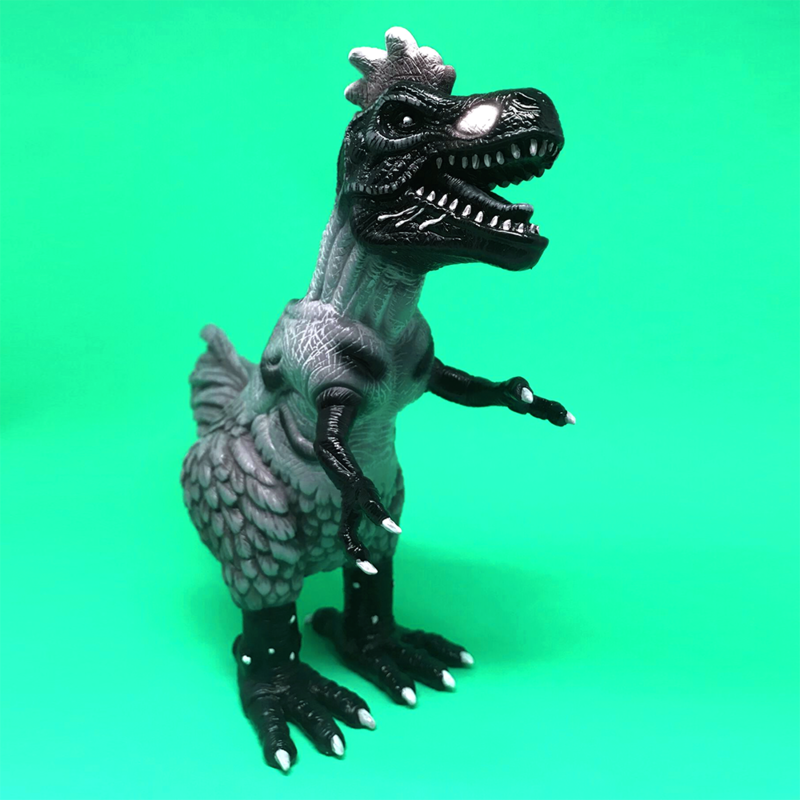 Poultry Rex Monochrome stands 8” tall and features 5 points of articulation (arms, legs and tail). It drops on Friday (8.17) at 12 PM PDT for $105 from the TAG web shop. 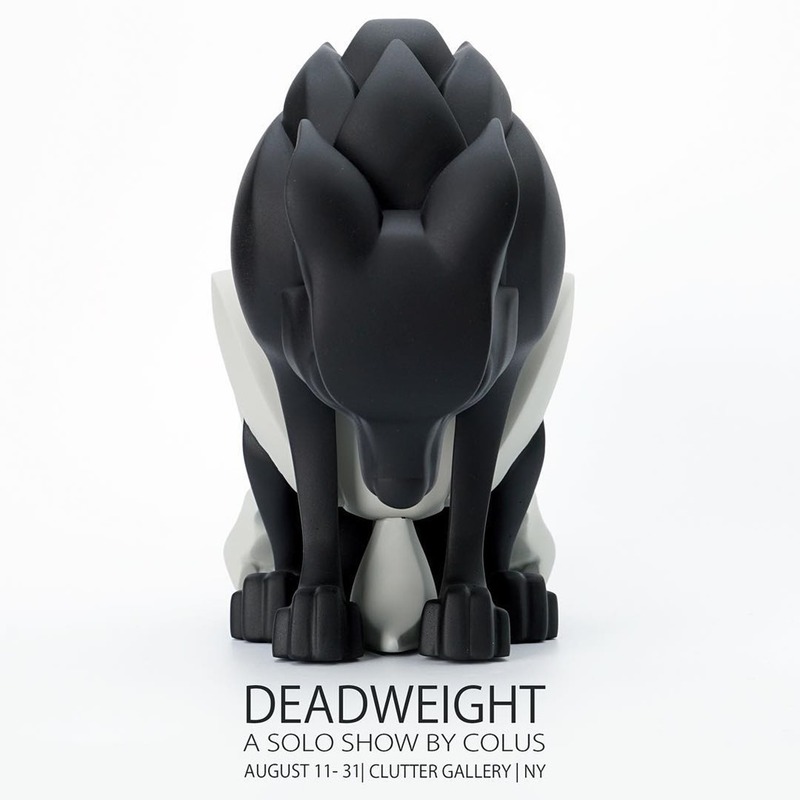 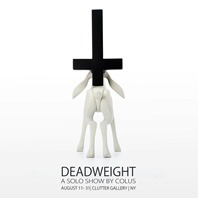 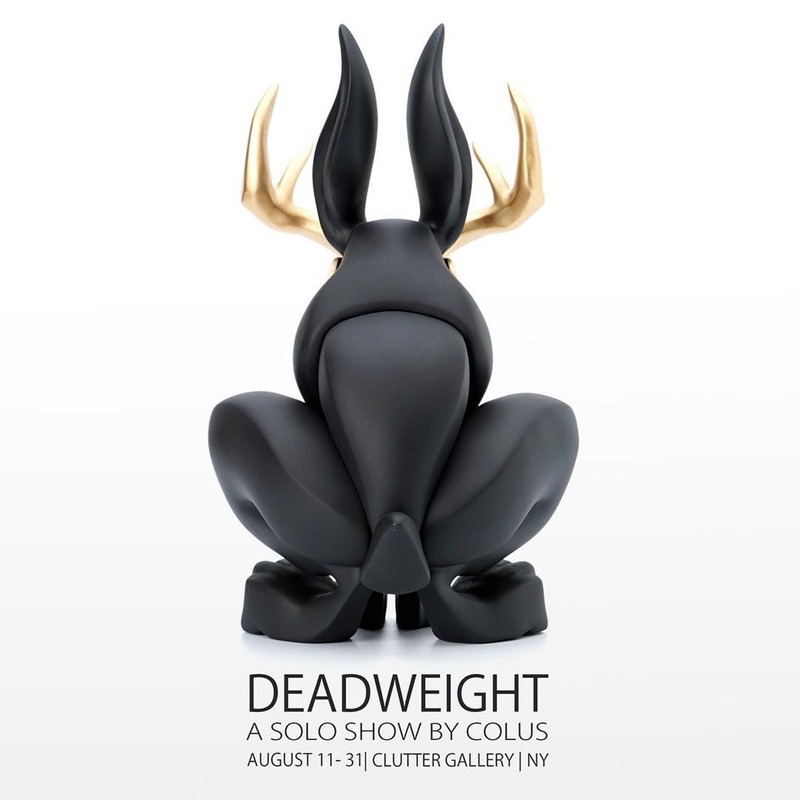 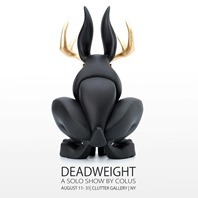 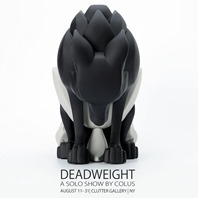 Colus will present a collection of his light meets dark resin sculptures when he opens his Deadweight solo show at Clutter Gallery this Saturday (8.11). 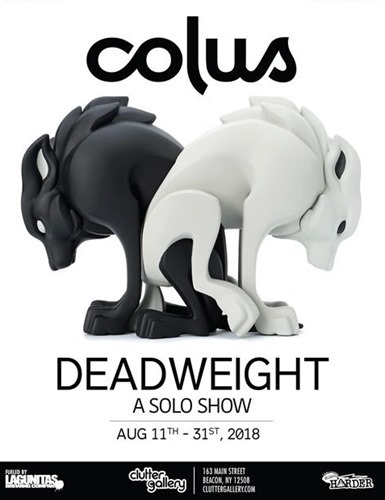 From the gorgeous previews he’s posted so far, it looks like the show will feature quite a few new designs including the intertwined wolf piece (above).